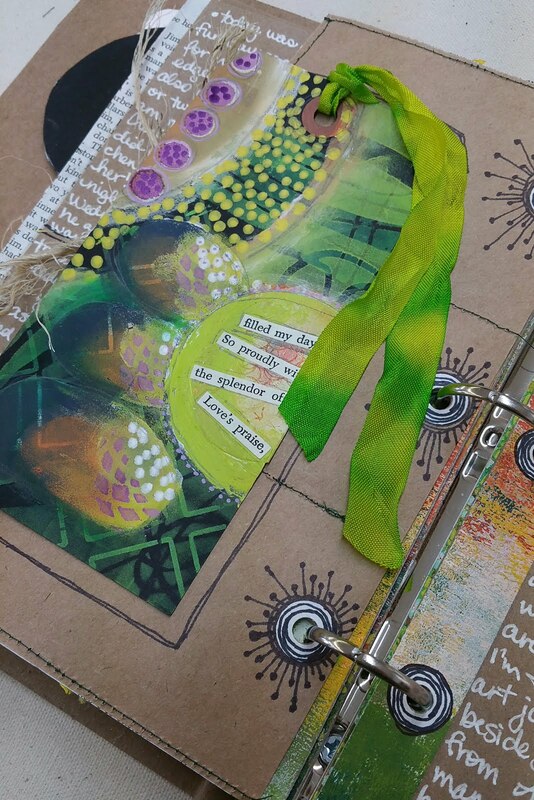 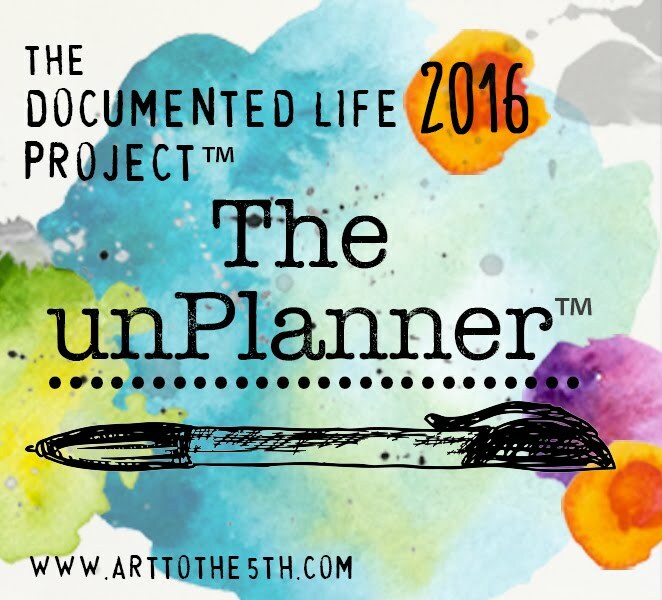 To discover other unPlanner ideas and see the project challenges and themes, sign up for The Documented Life Project 2016- The unPlanner at the Art to the 5th Academy or see the blog HERE. The first part I've done is make the divider, and below is a photo of it open. 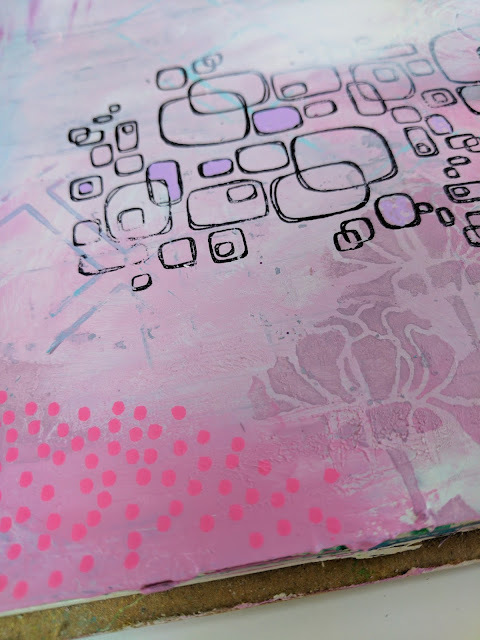 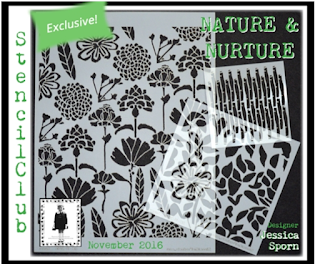 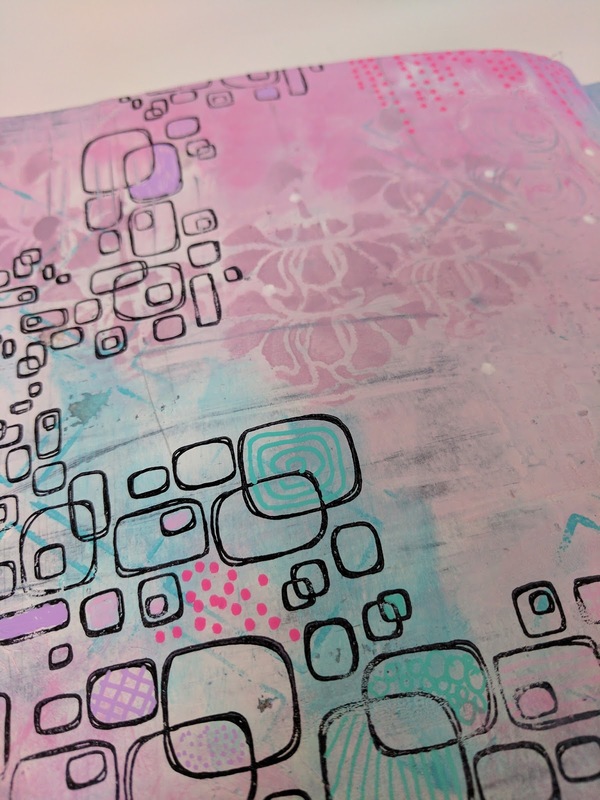 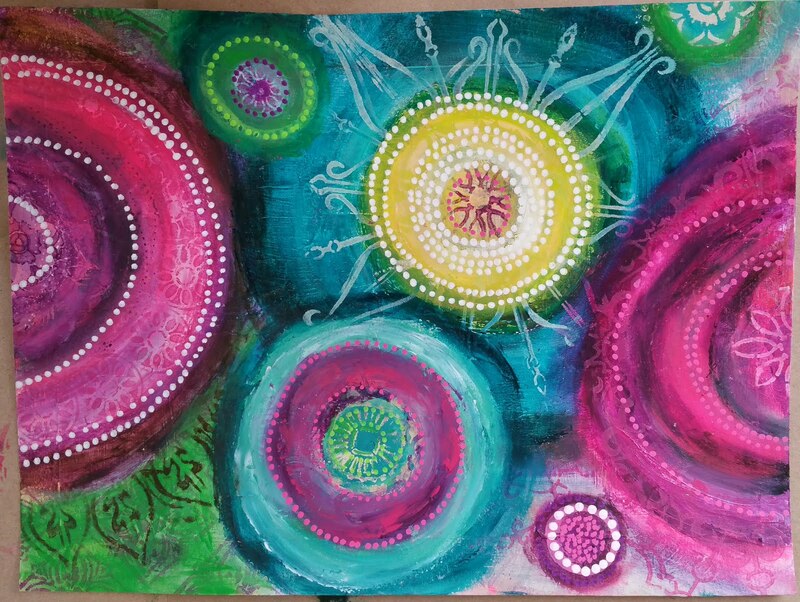 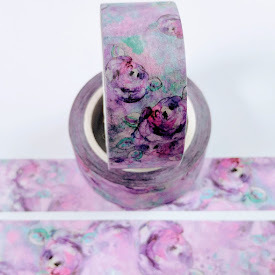 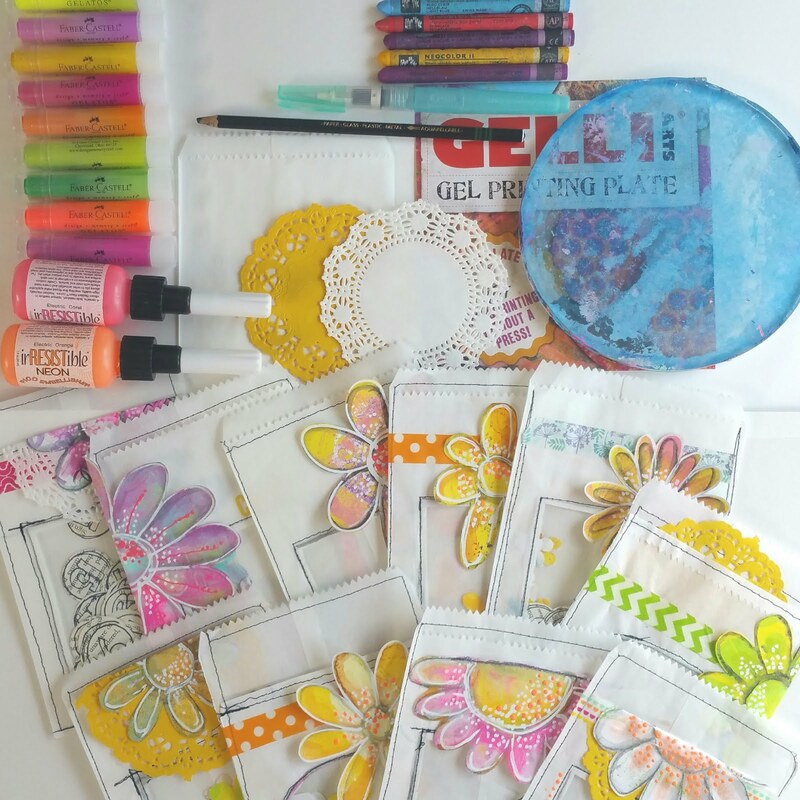 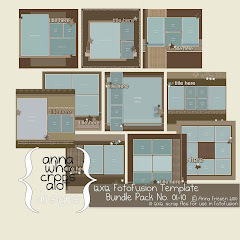 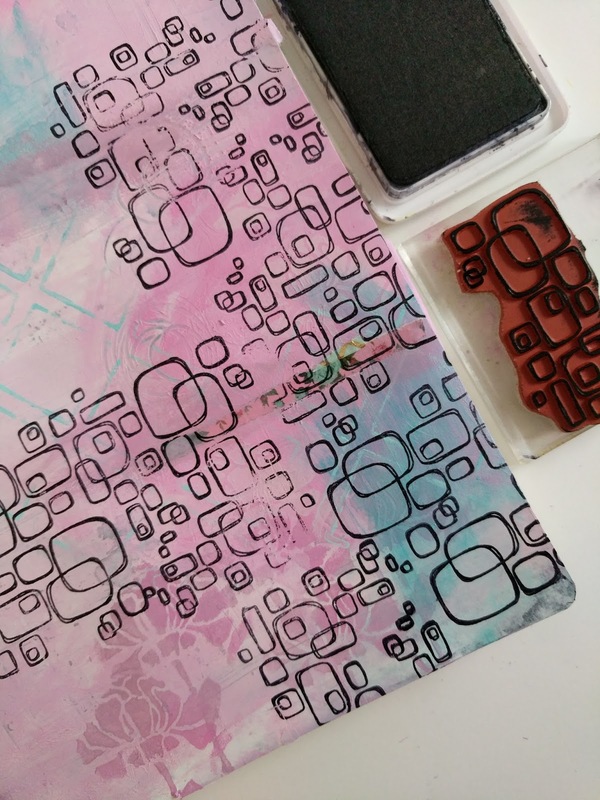 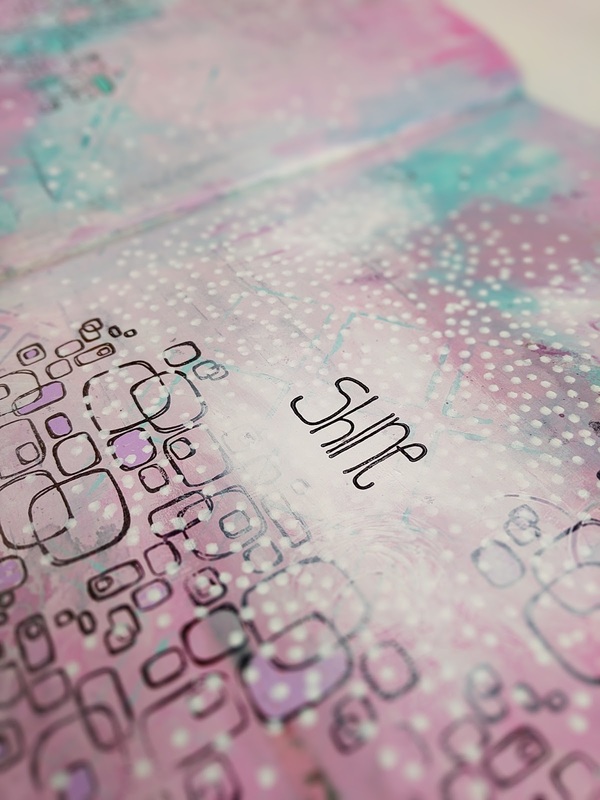 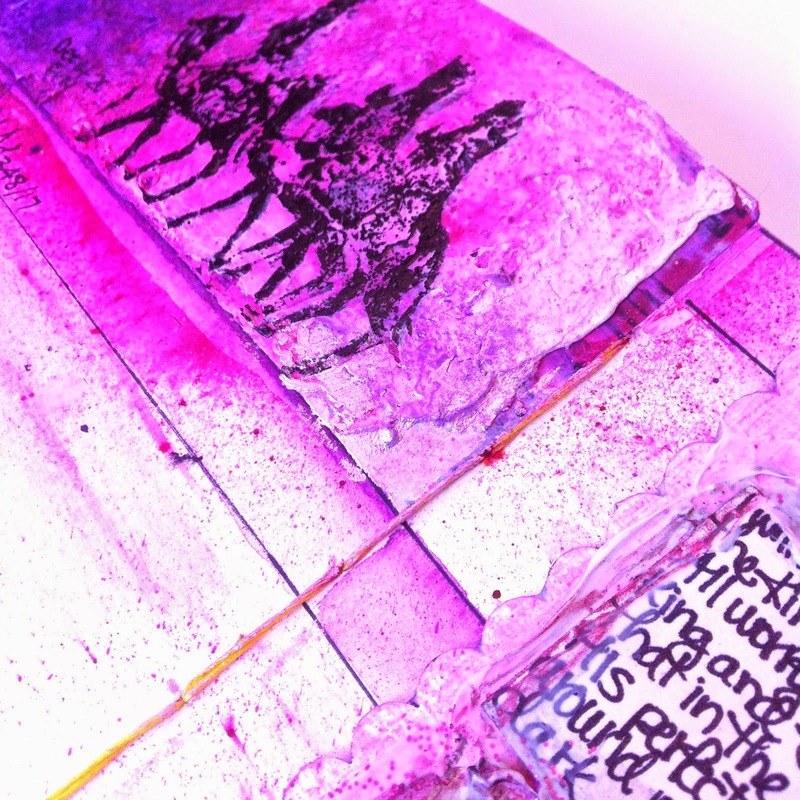 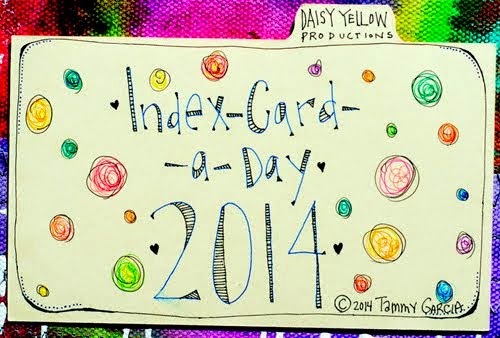 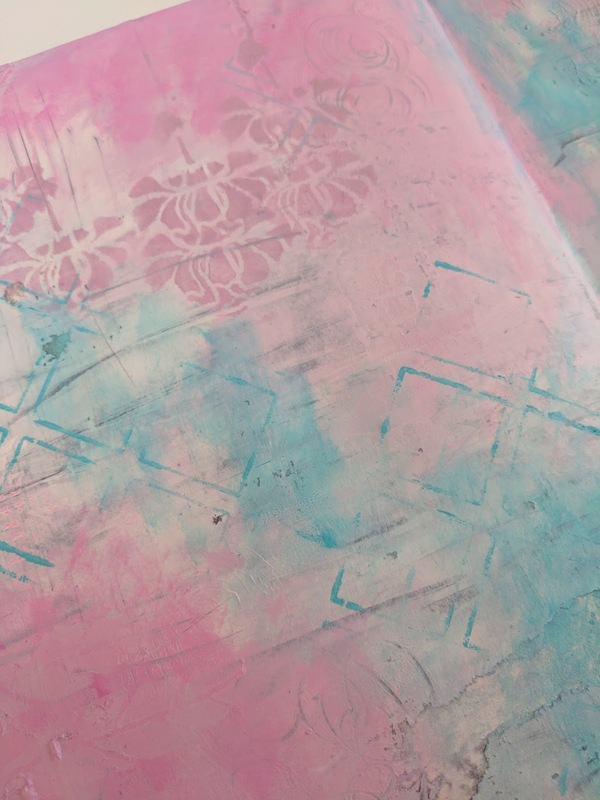 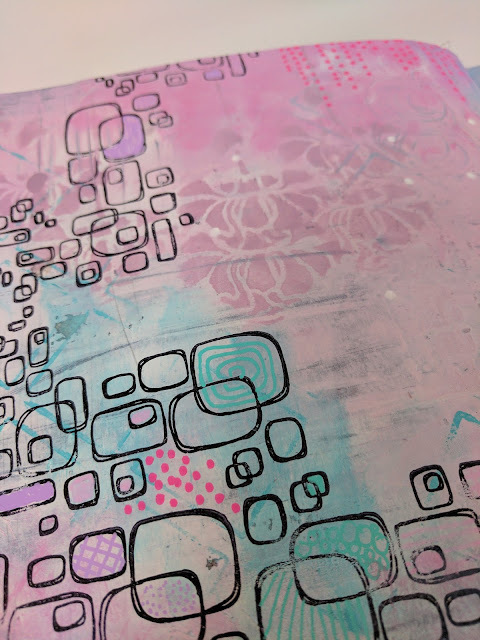 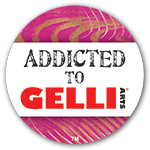 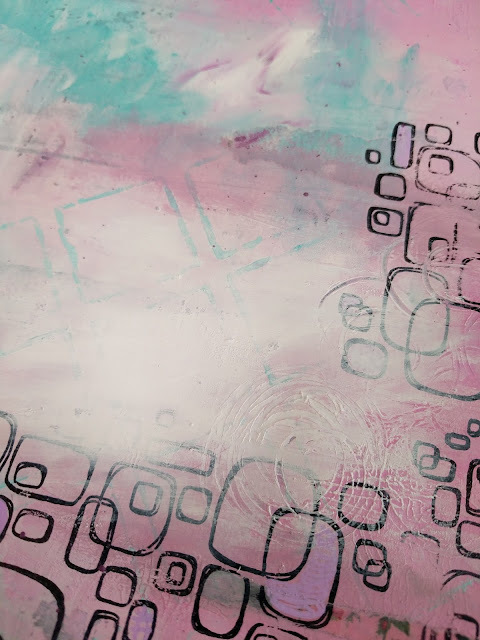 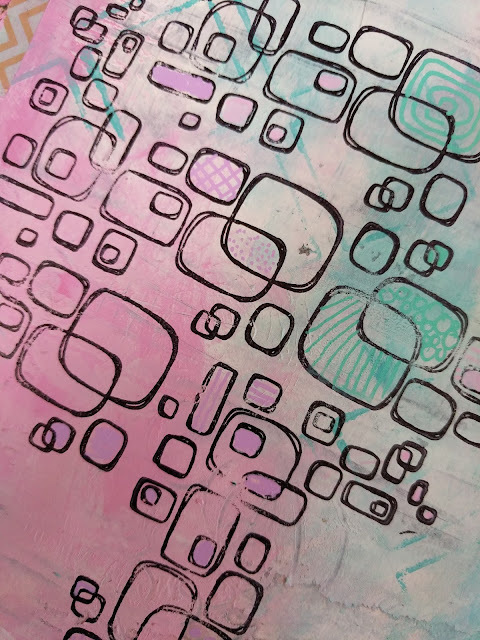 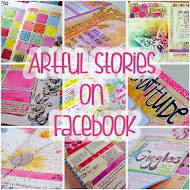 This was my project for my StencilGirl Creative Team post over at the StencilGirl blog. 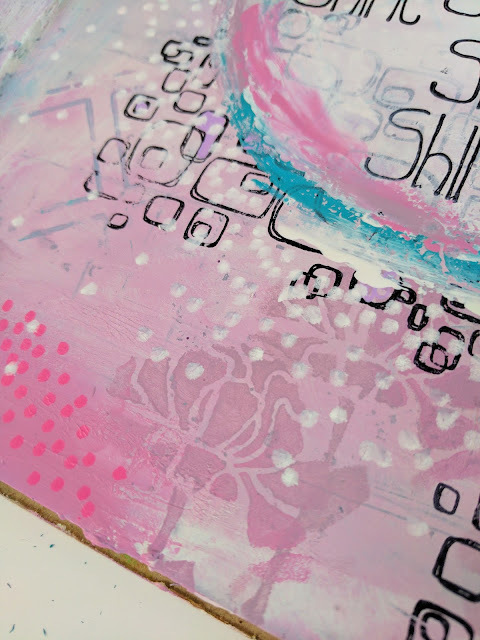 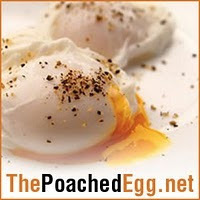 To see my step-out tutorial, check it out HERE. 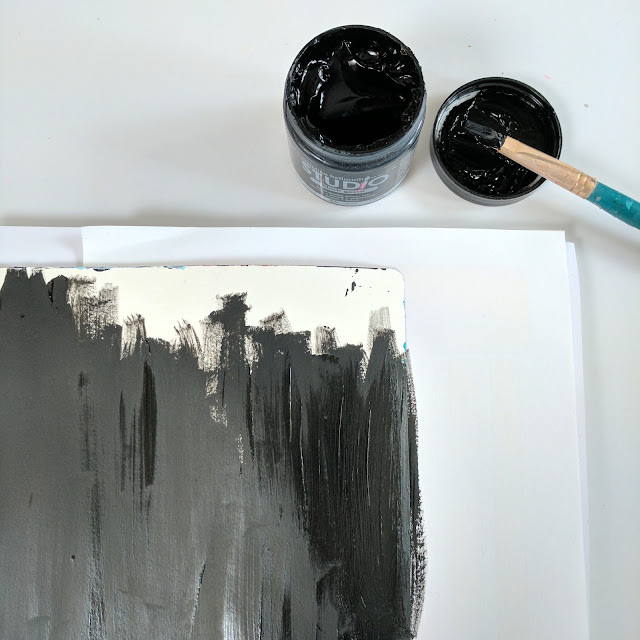 I enjoy the depth of this piece, using blue-black and varying shade of grey. 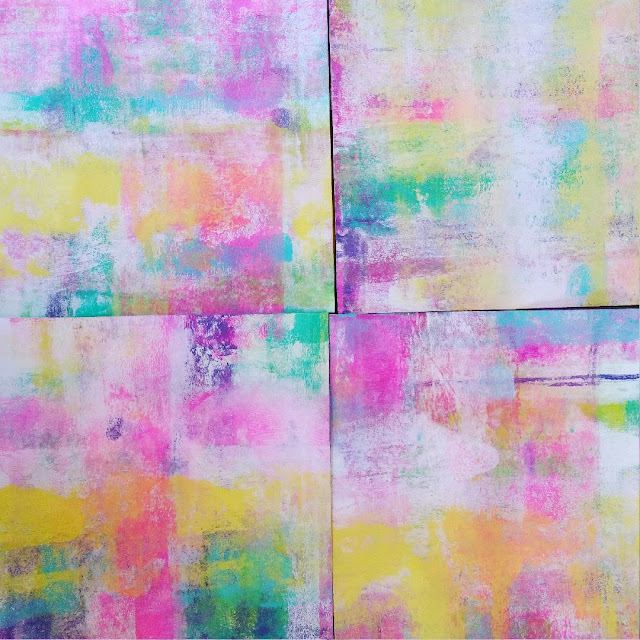 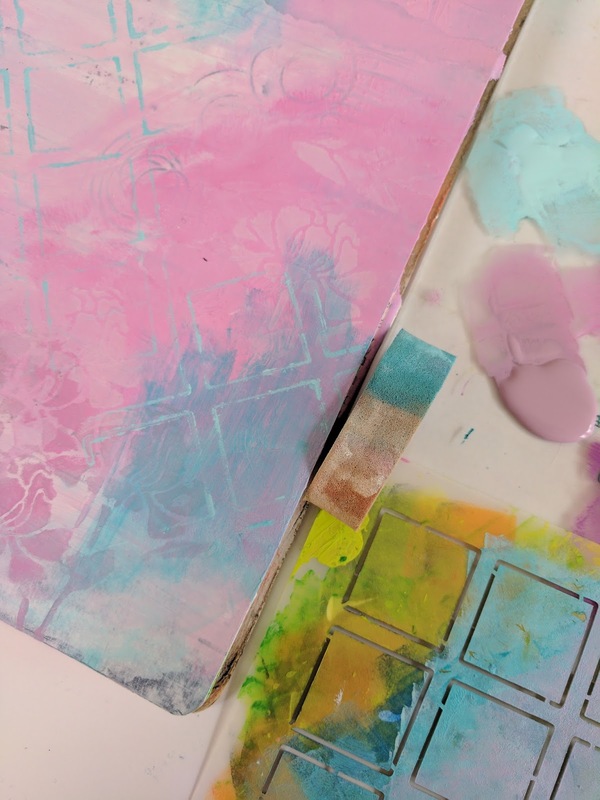 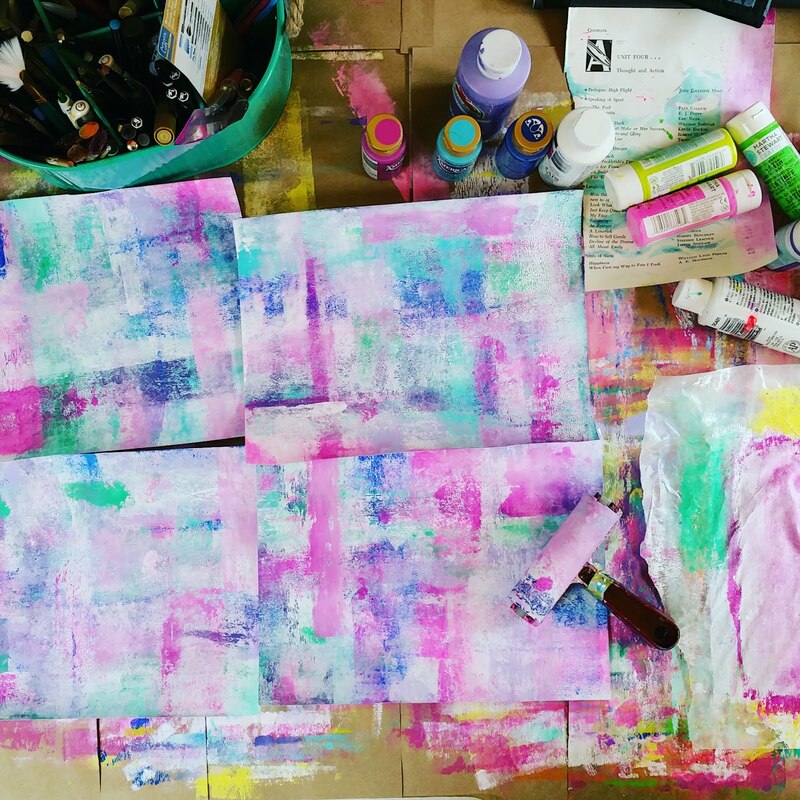 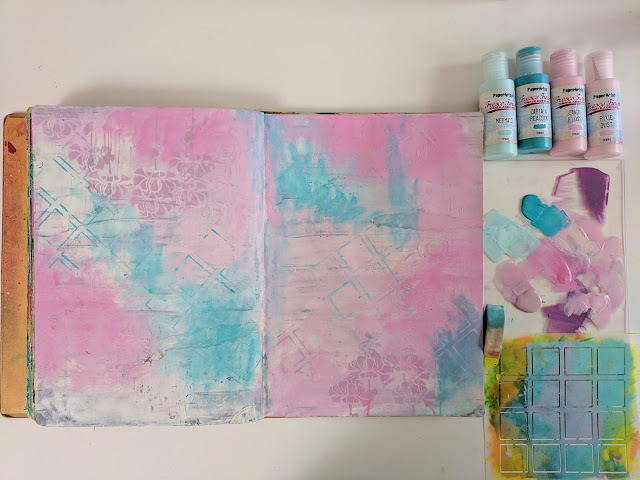 If I had to sum up one thing I've learned from art journaling this year, it would be this: create depth with varying shades of colour! 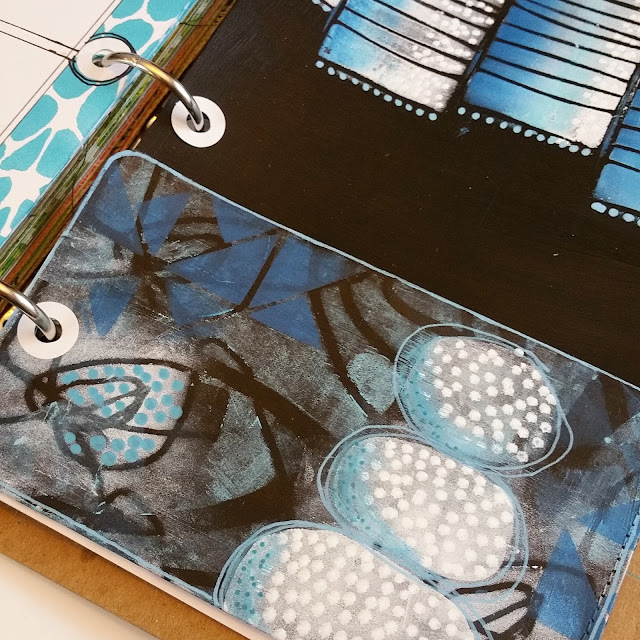 Photo below, page on left, is a page from the unPlanner kit. The photo after this one, you see the other side of that page completely covered with black paint. 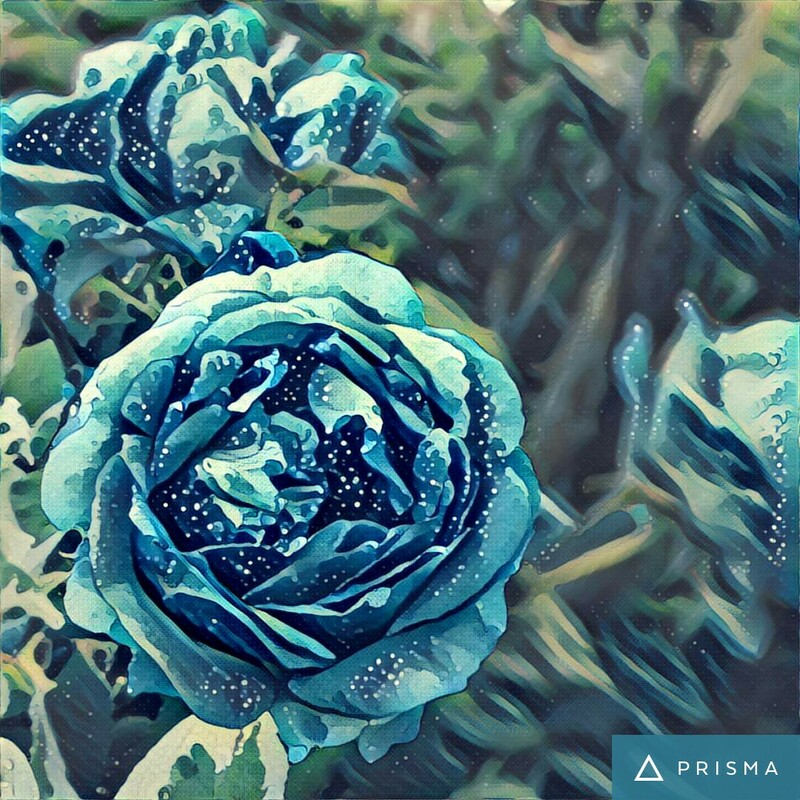 I will do the same here. 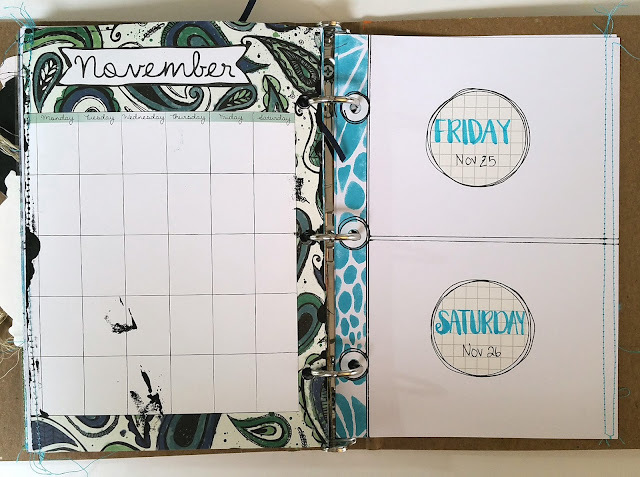 Page on right is my prepared pages for the rest of the month, where I journal daily. 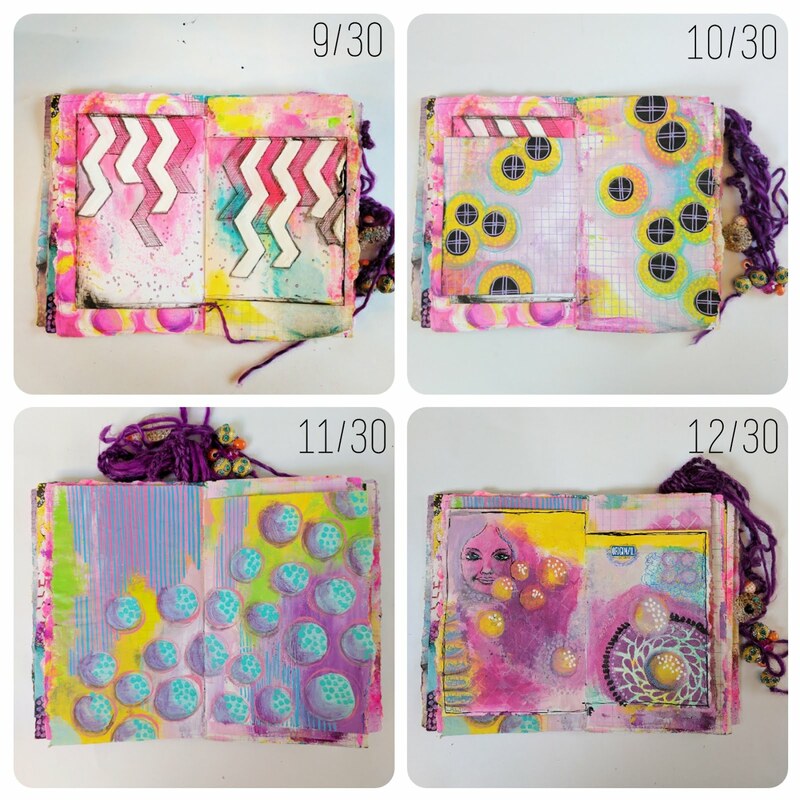 A process pic of decorating the pre-made pocket page. 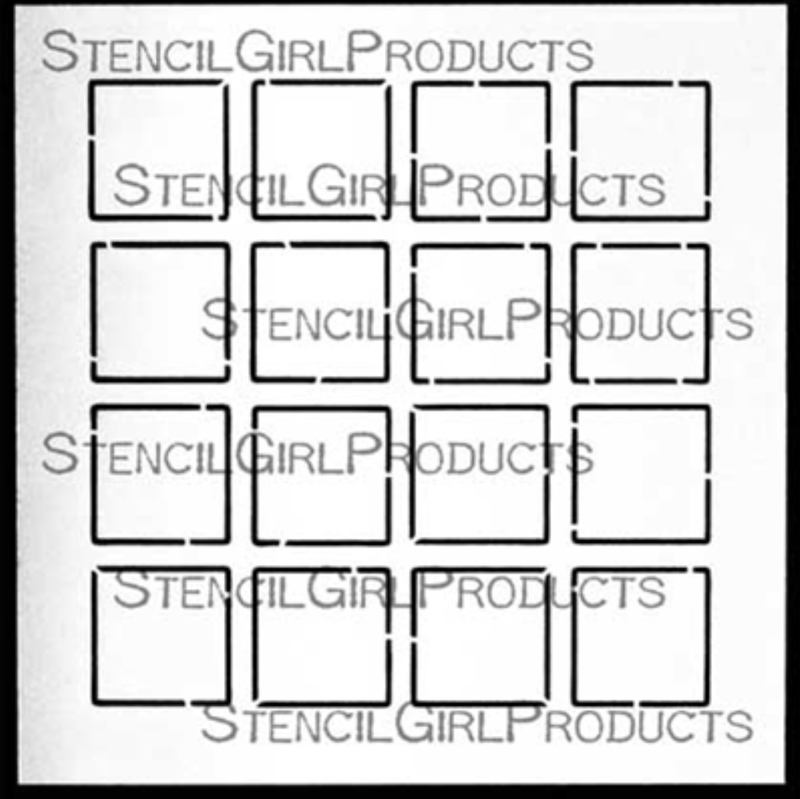 Of course, StencilGirl stencils were used. ;) The "ladder" at the top part is a club stencil by MaryBeth. See it HERE. 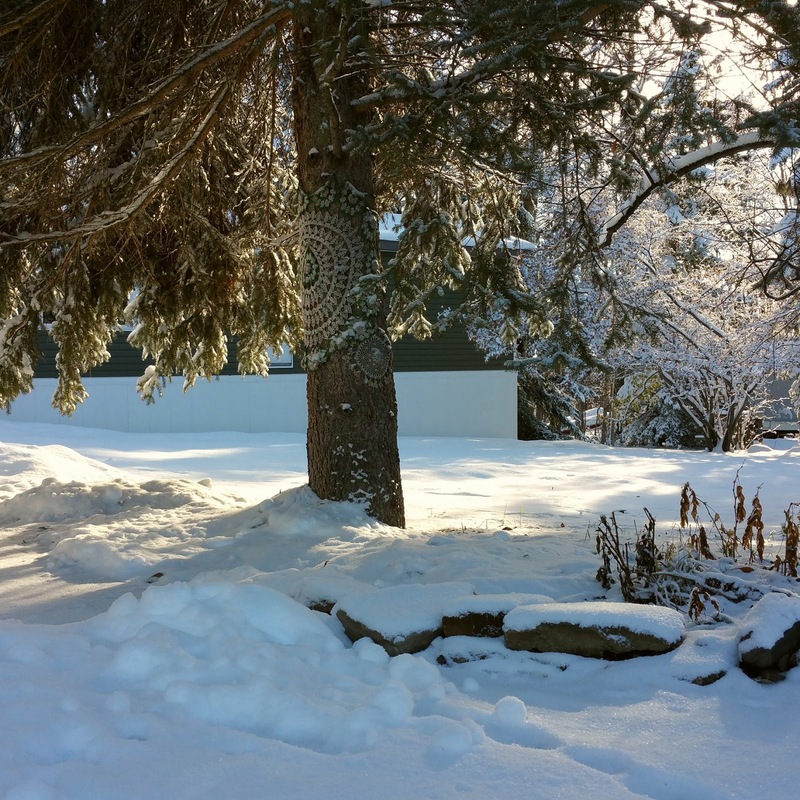 The "snowman" is from a stencil with three varied sized ovals. See the stencil HERE. 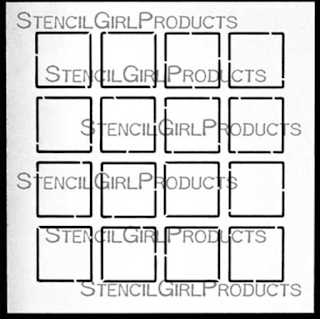 The other stencils used are THIS and THIS 6x6 stencil. 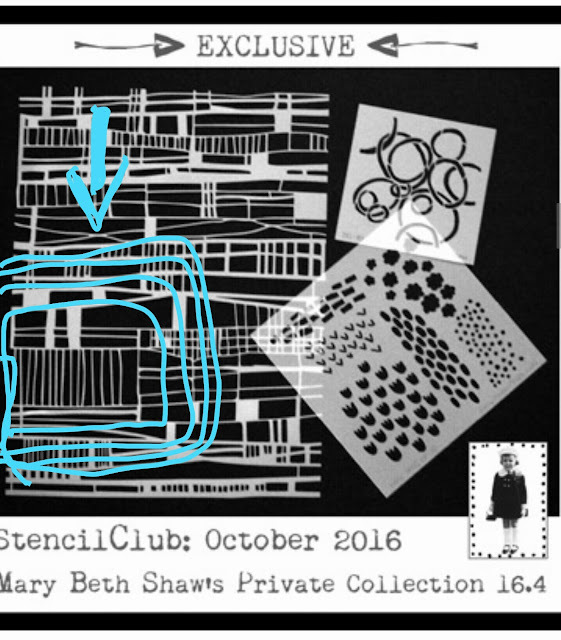 I circled the part below to show you which part of the large stencil I used. 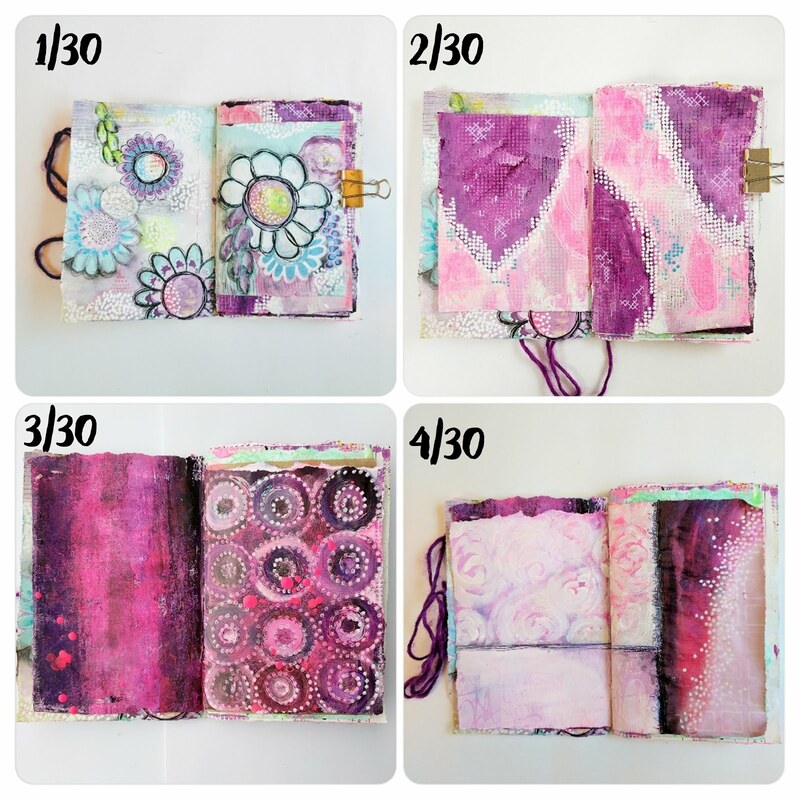 :) More photos to come in my next blog post when I have the pocket pages complete. 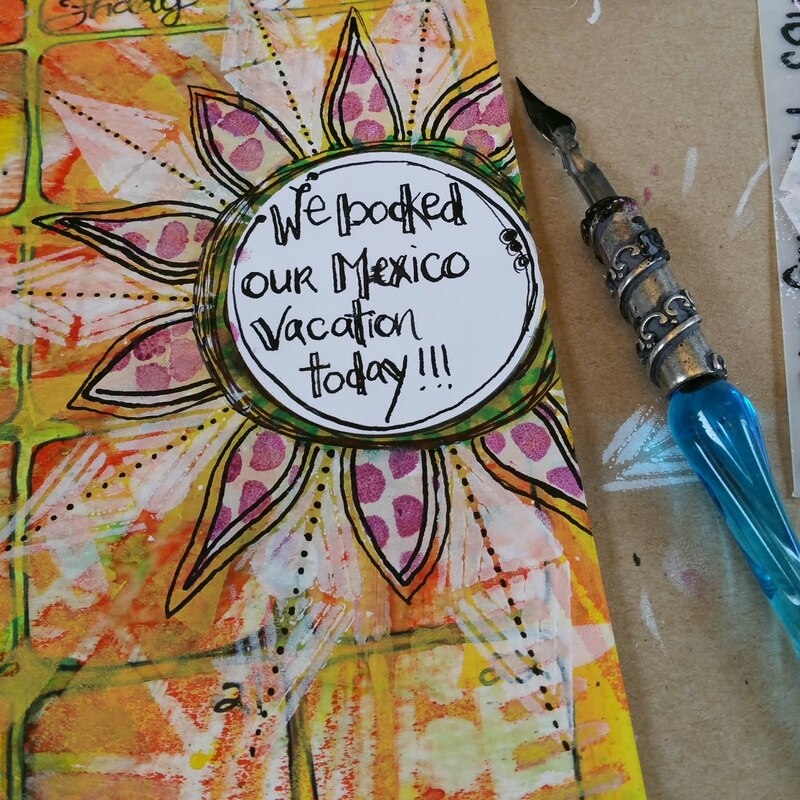 That's my plan, anyway. 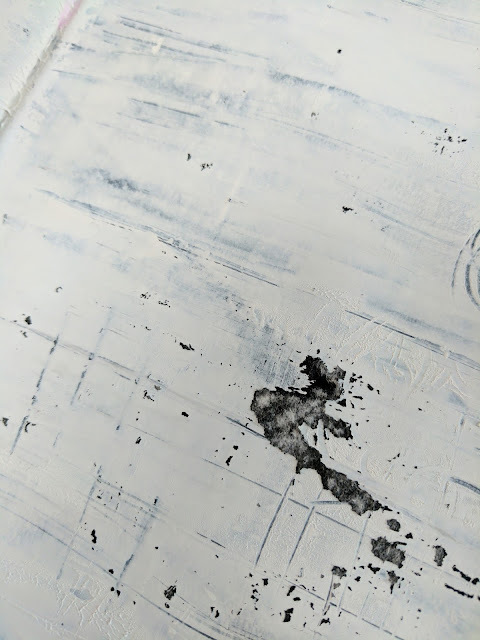 Photo below is one of the items in that pocket. 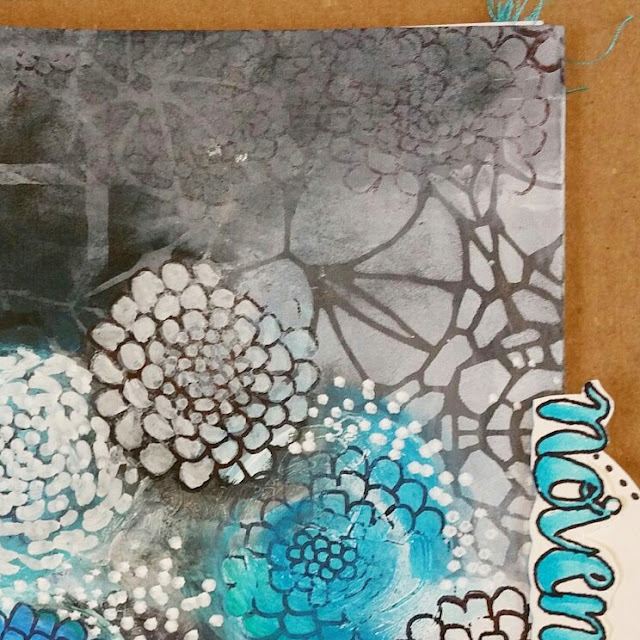 I painted a tag white, then glued photos to it. I discovered a fun app called Prisma, and spent too many hours playing with it! 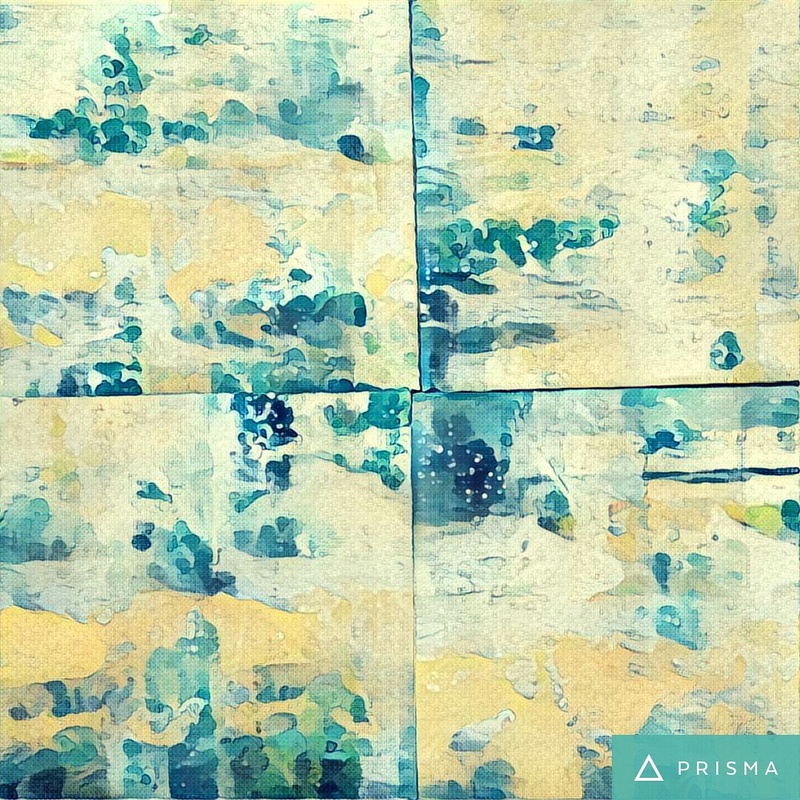 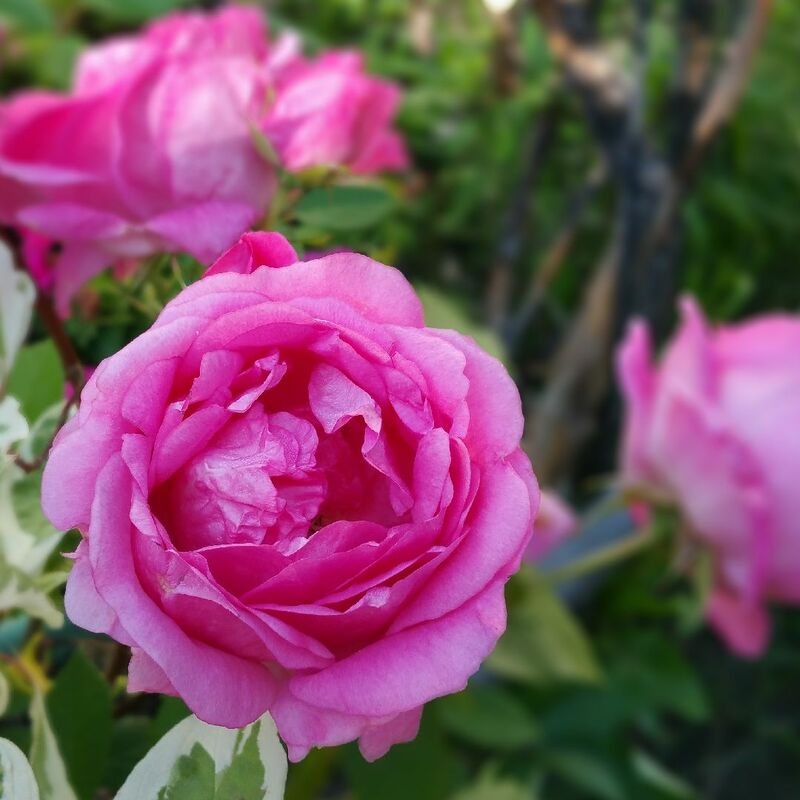 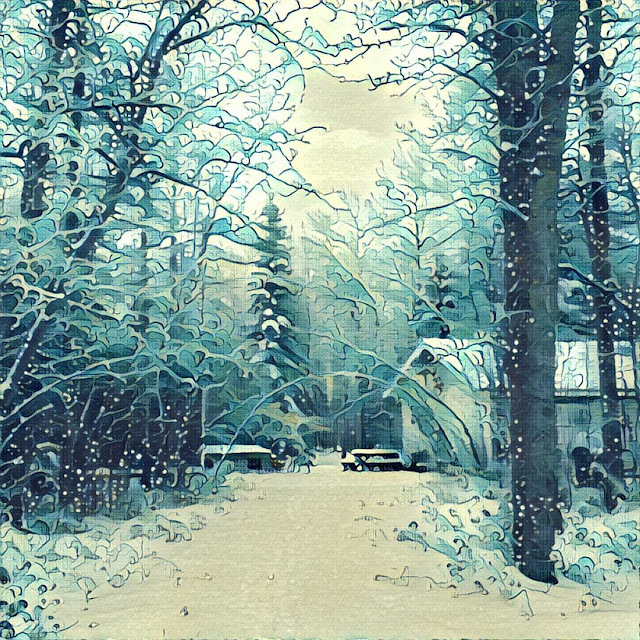 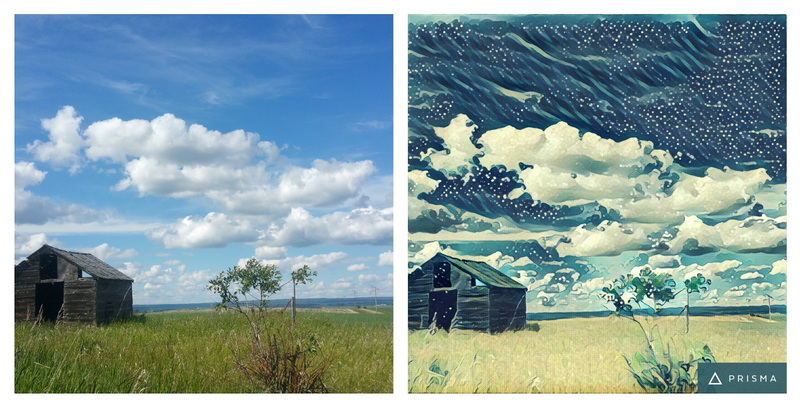 It transforms photos into different styles of art with filters. 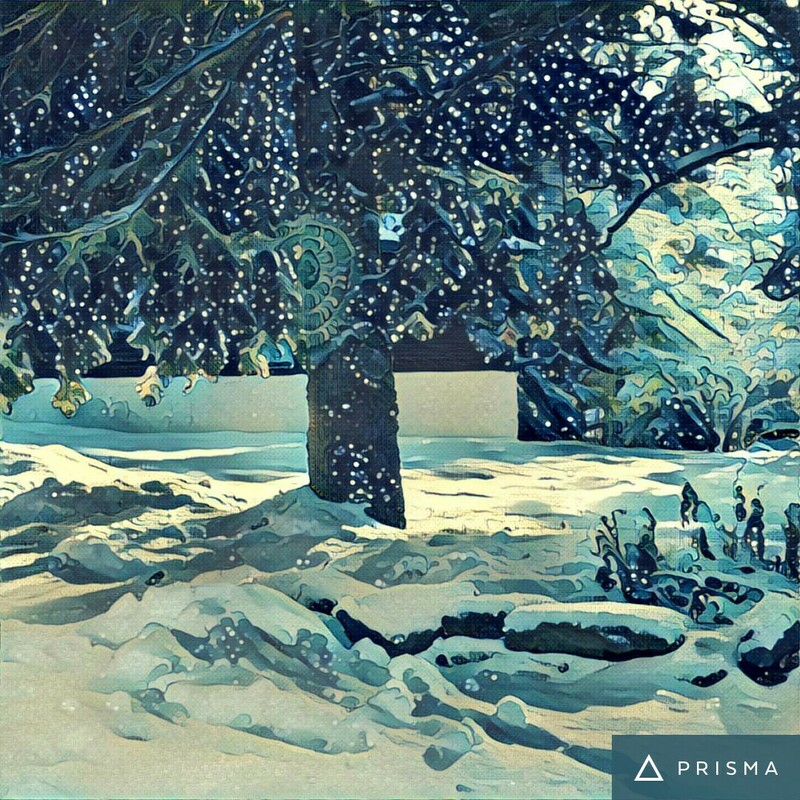 My favourite filter is the Wave and Candy. 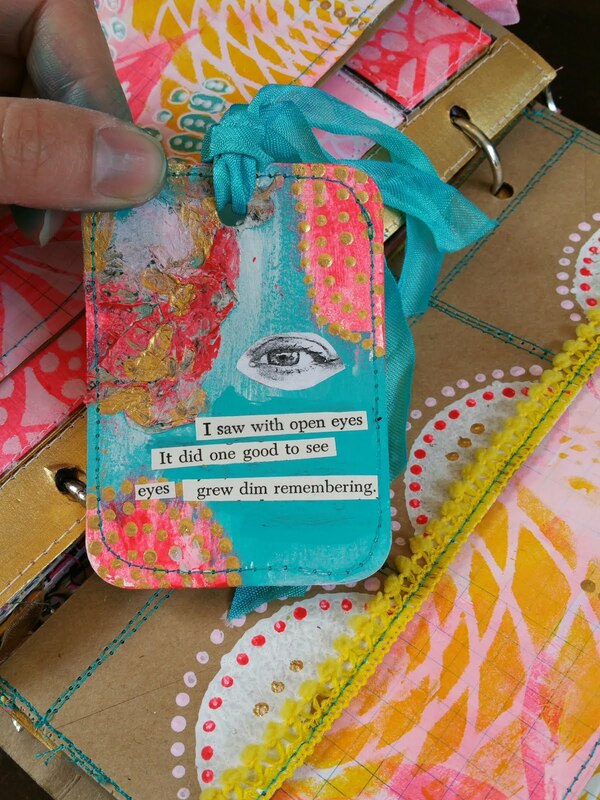 I discovered it from Miranda, through her weekly project called the 18/52 Art Journal Project. 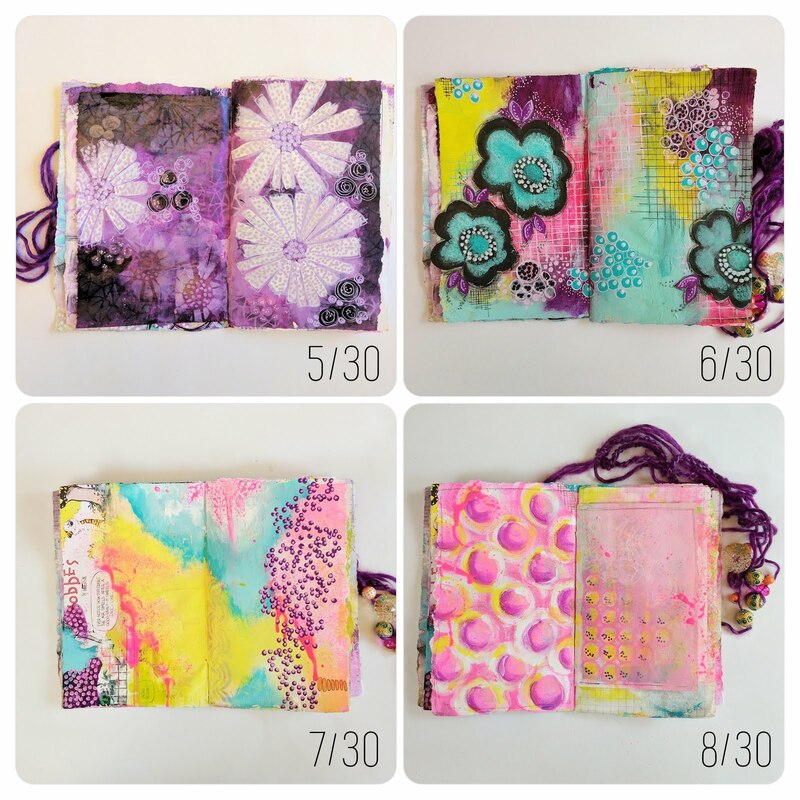 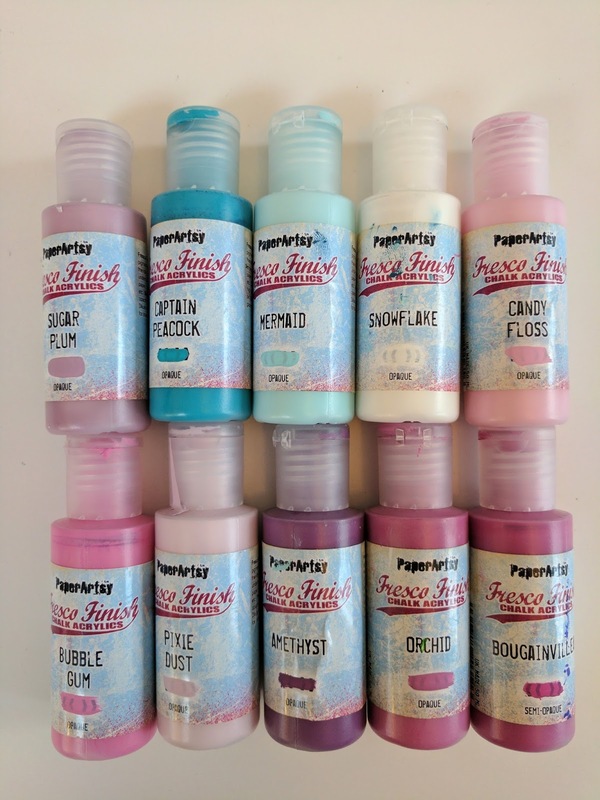 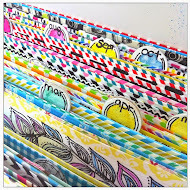 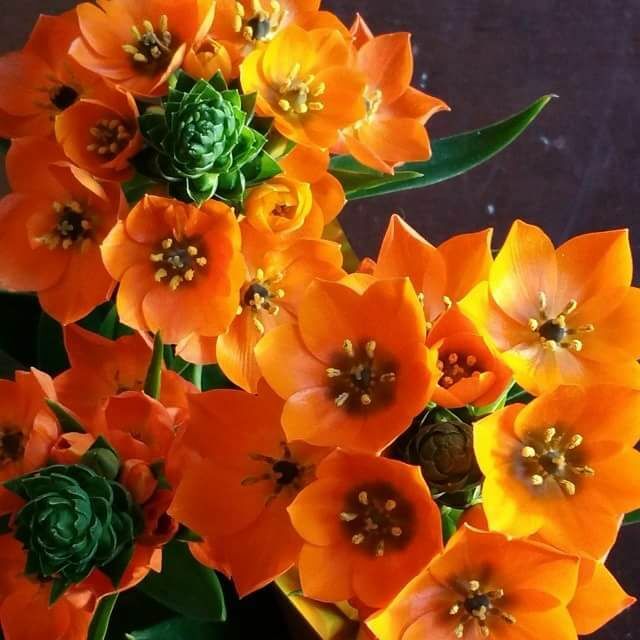 Scroll to bottom of post to see two more photos of my unPlanner. 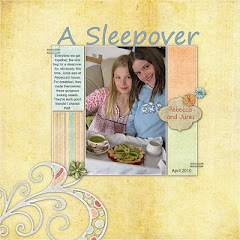 The second photo on the tag is of my son and his silver velour cape. Here are some more photos I tweaked. 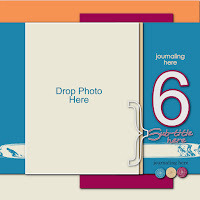 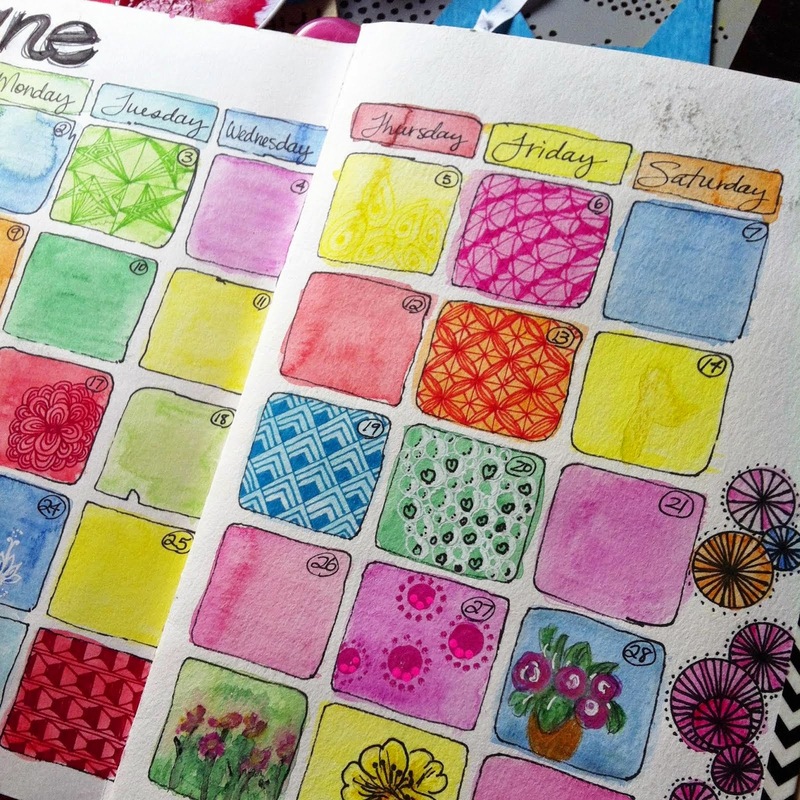 :) I might include a few of these in my unPlanner as well. 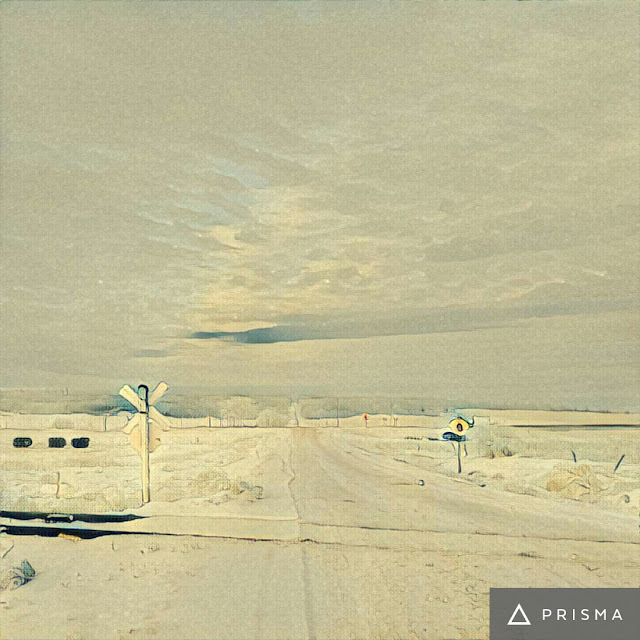 After, with the Wave filter again. 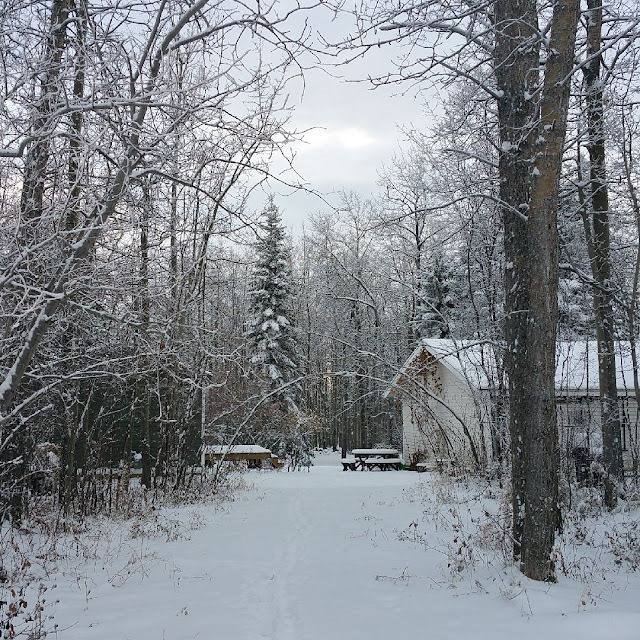 Before, our shortcut through the trees to the mailboxes. 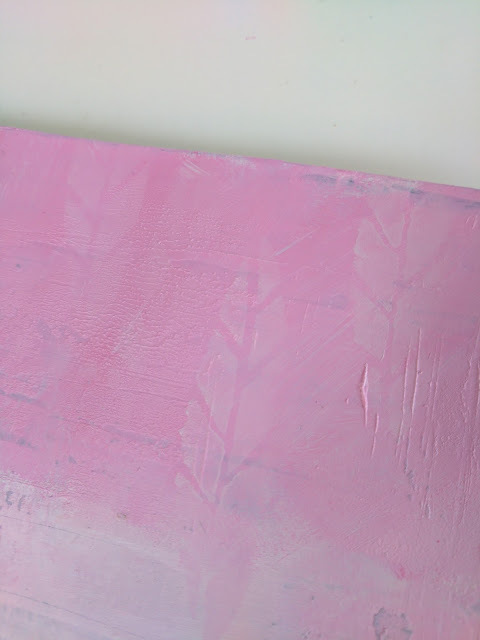 This last one is giving me ideas of painting backgrounds! 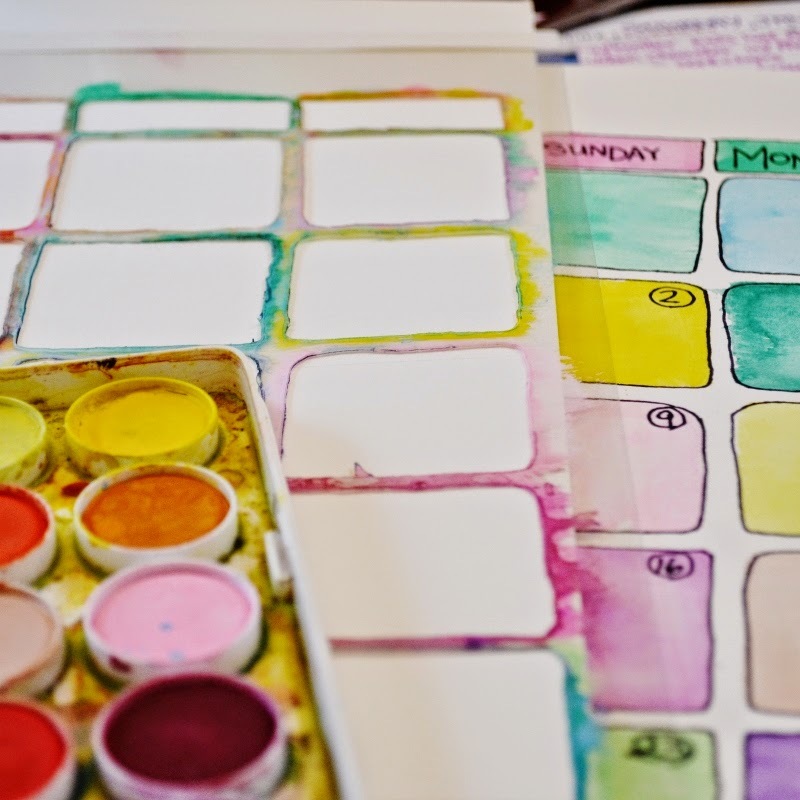 Need to try! 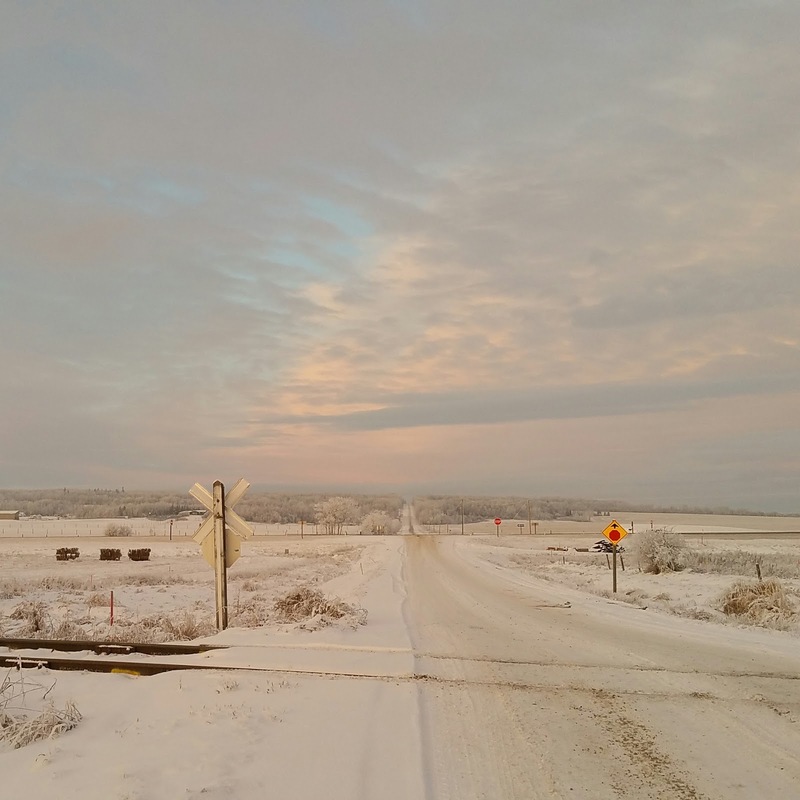 Spent a good half hour driving around in the country yesterday, taking photos of the beautiful scenery around us. 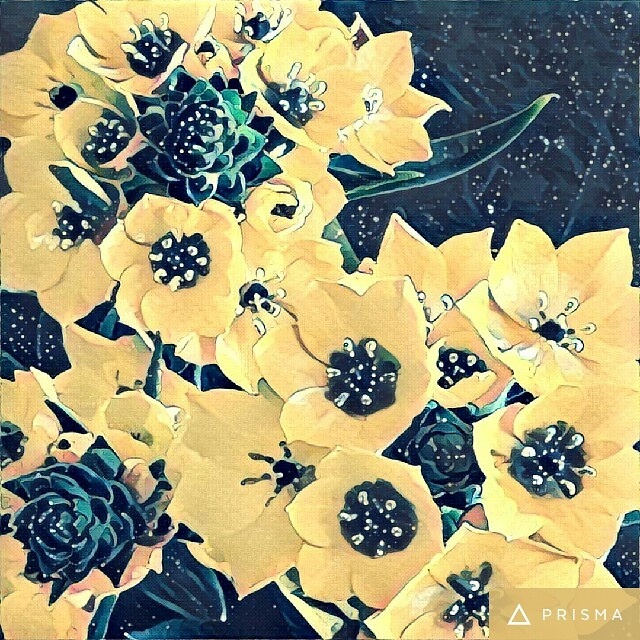 This altered version reminds me of some famous painter...but I can't remember who! 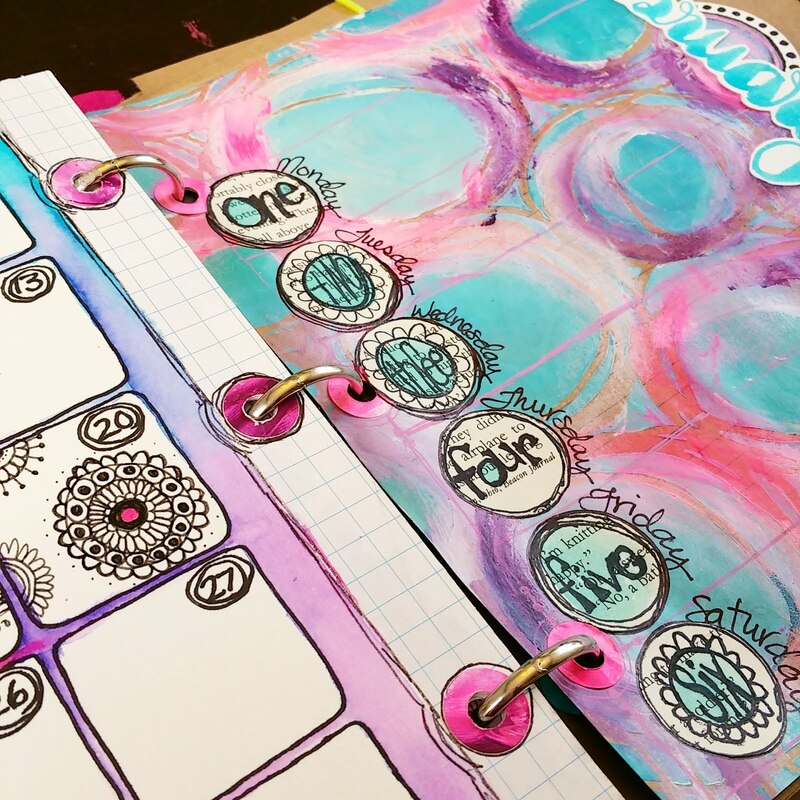 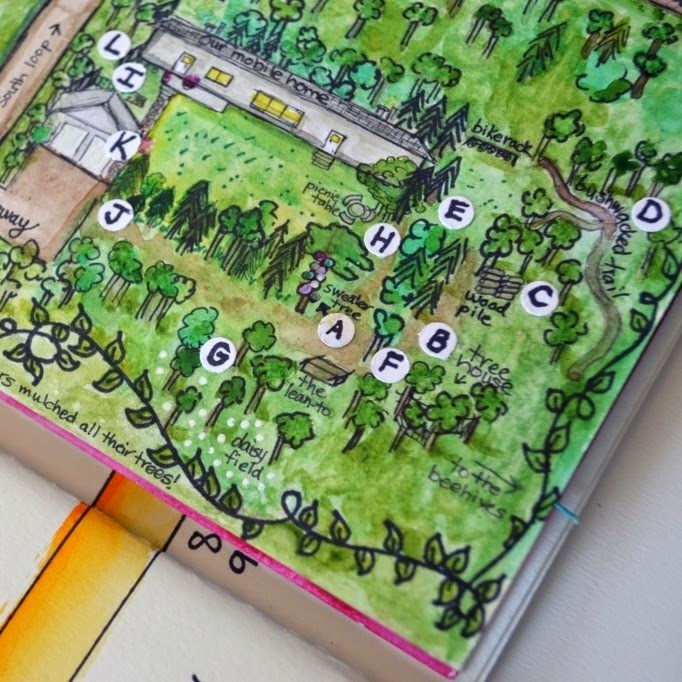 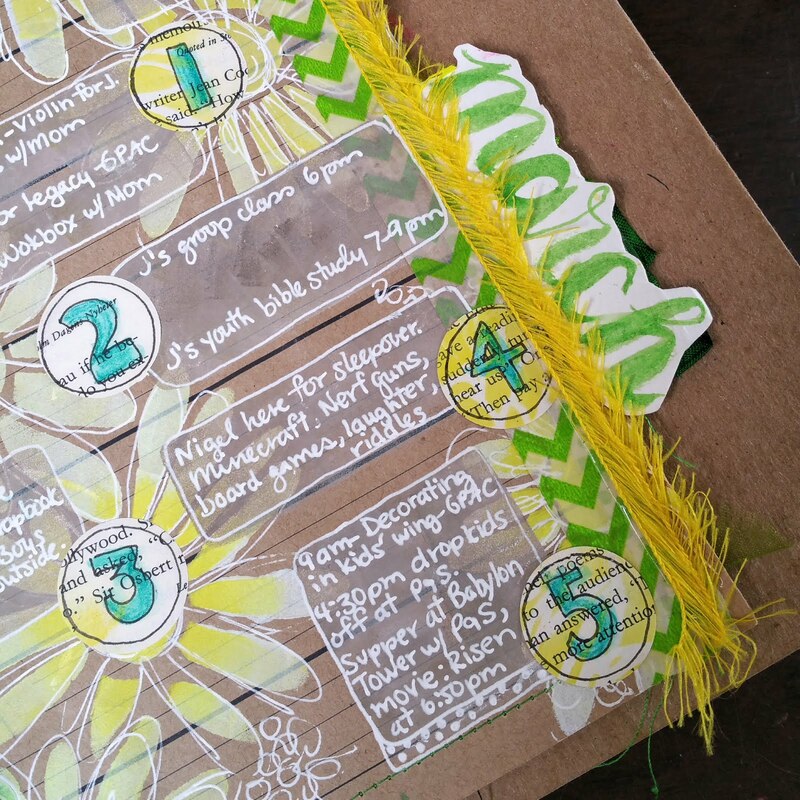 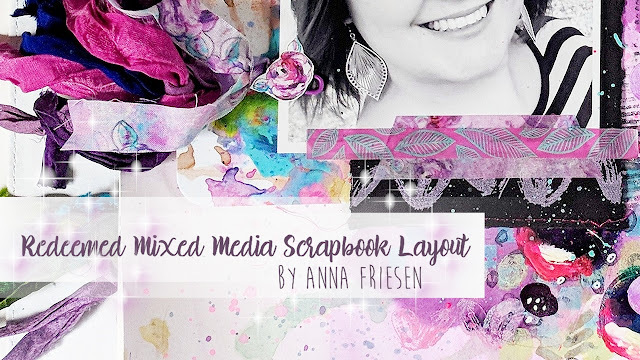 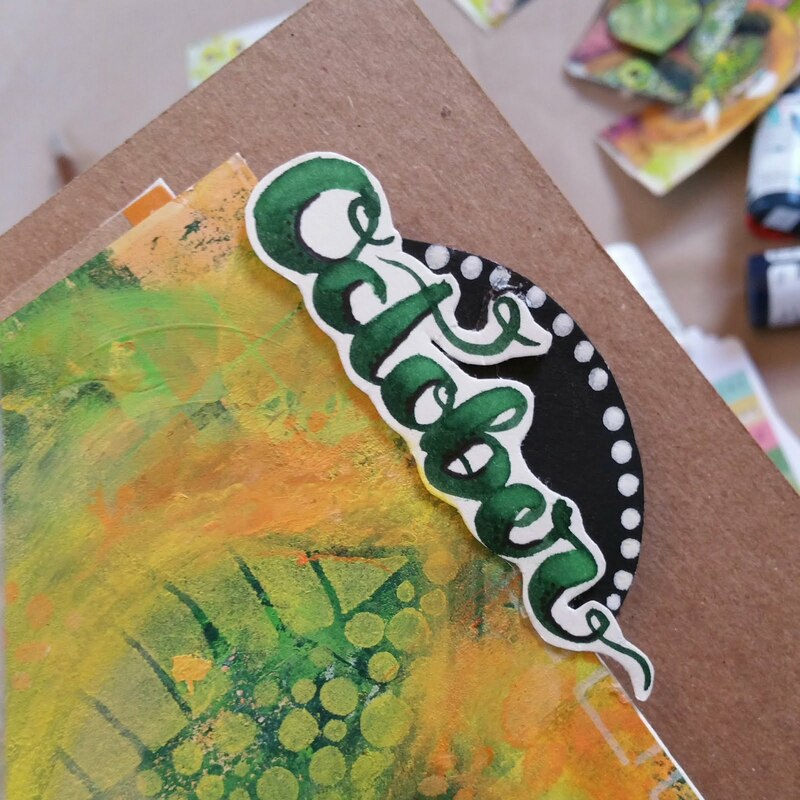 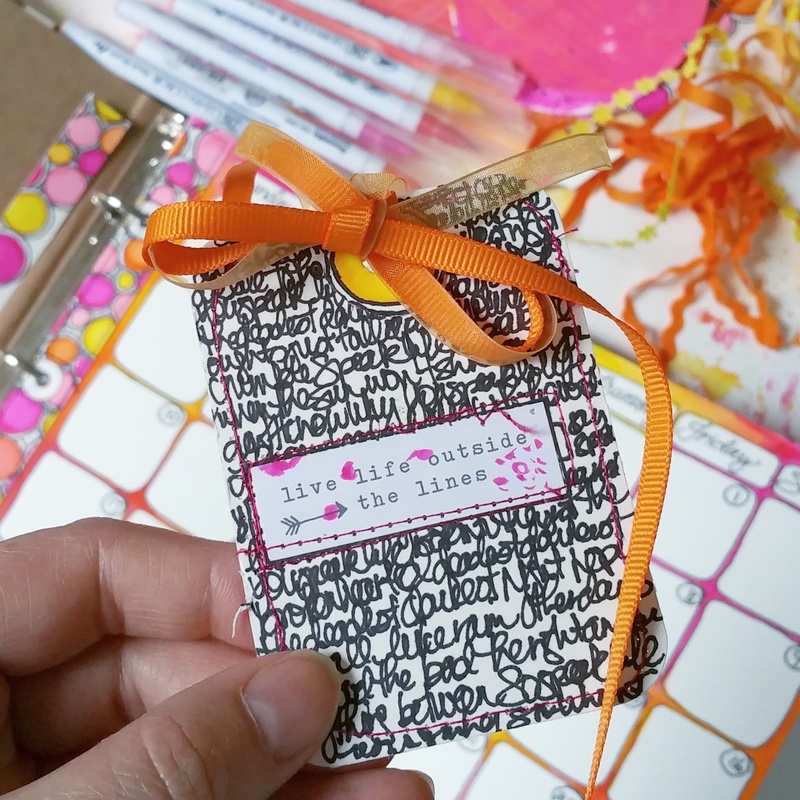 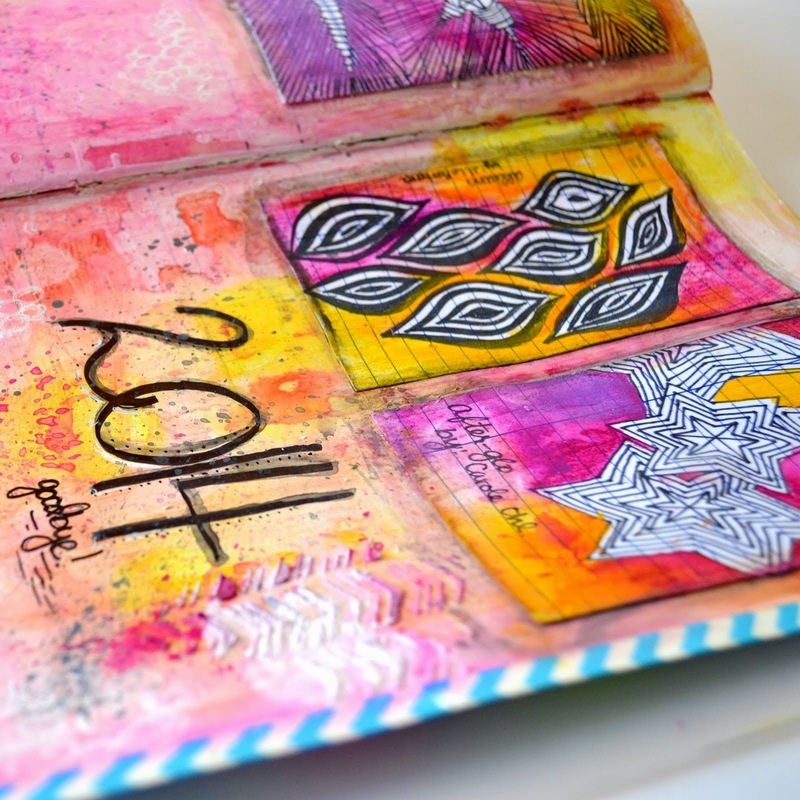 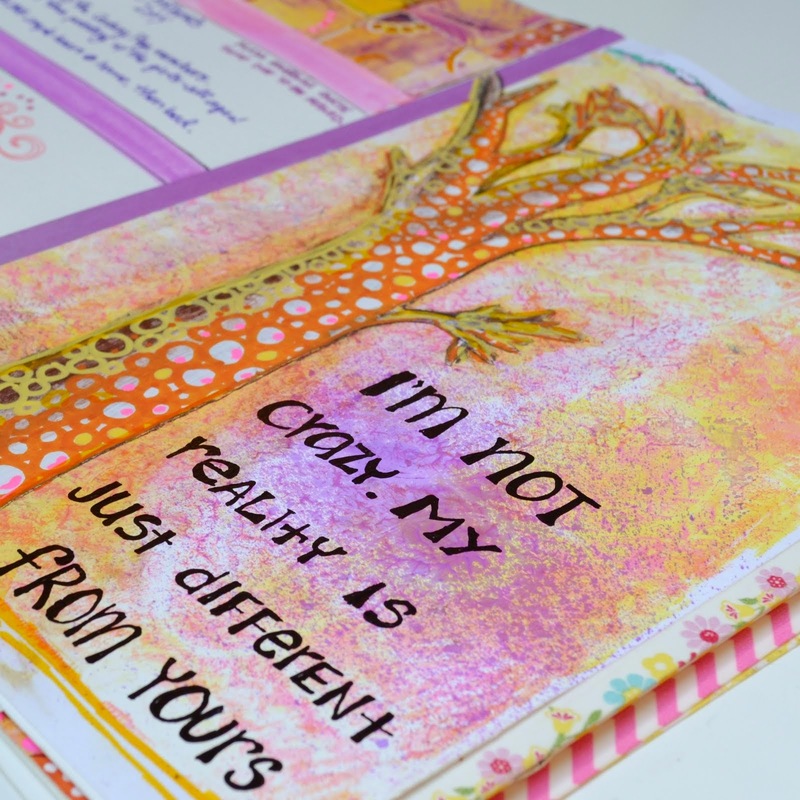 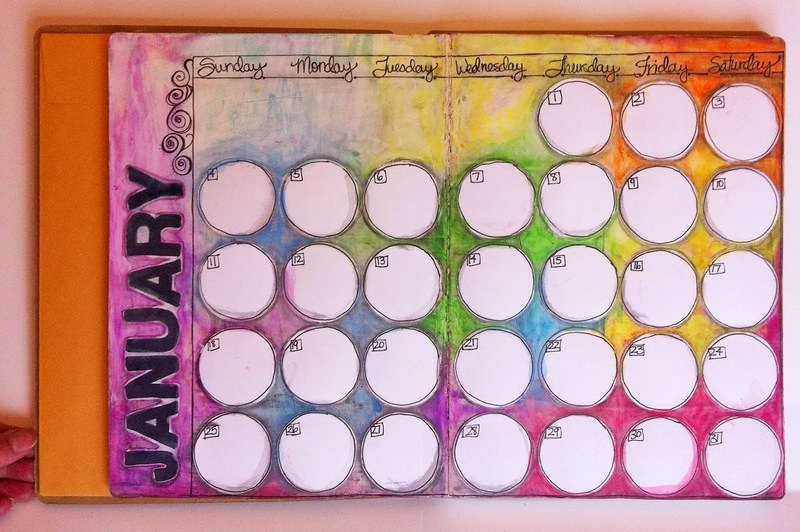 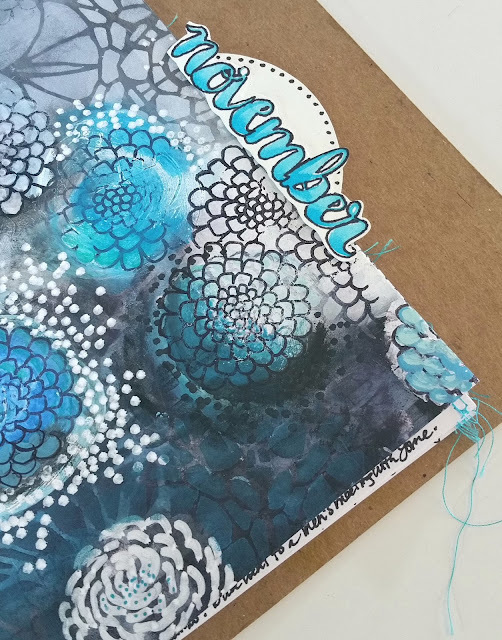 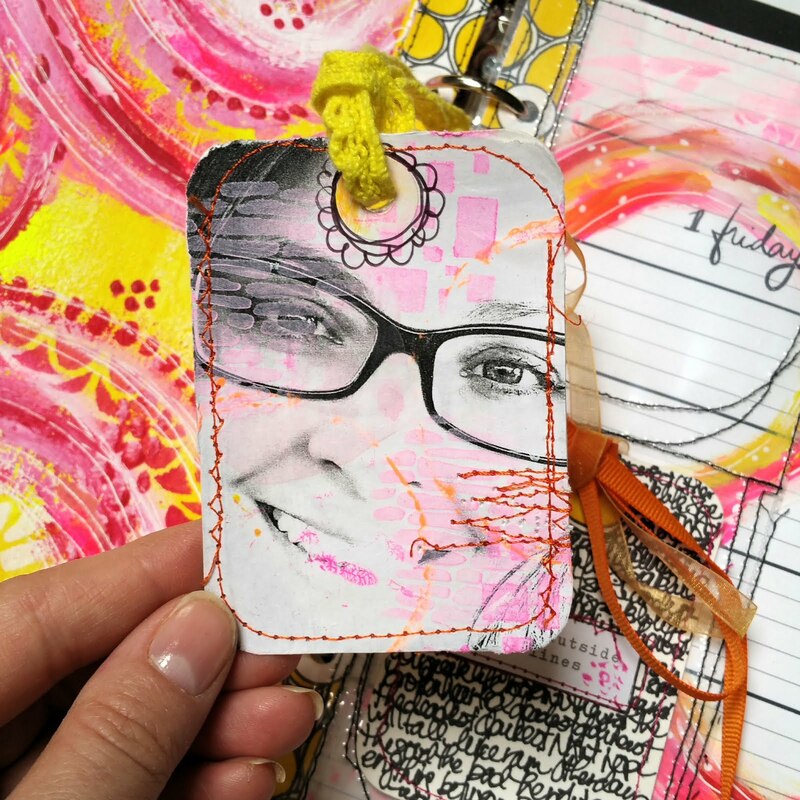 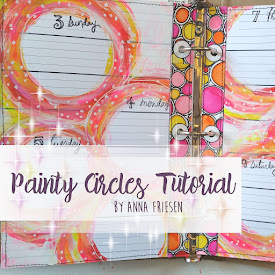 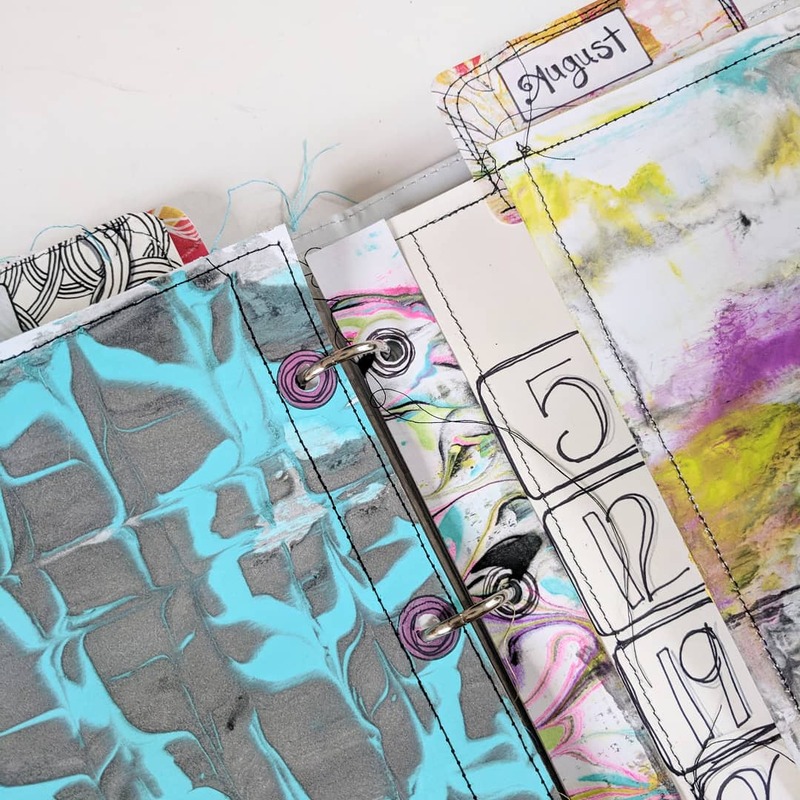 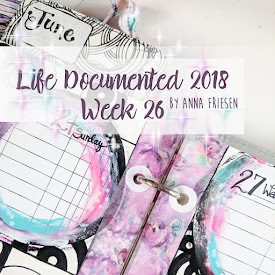 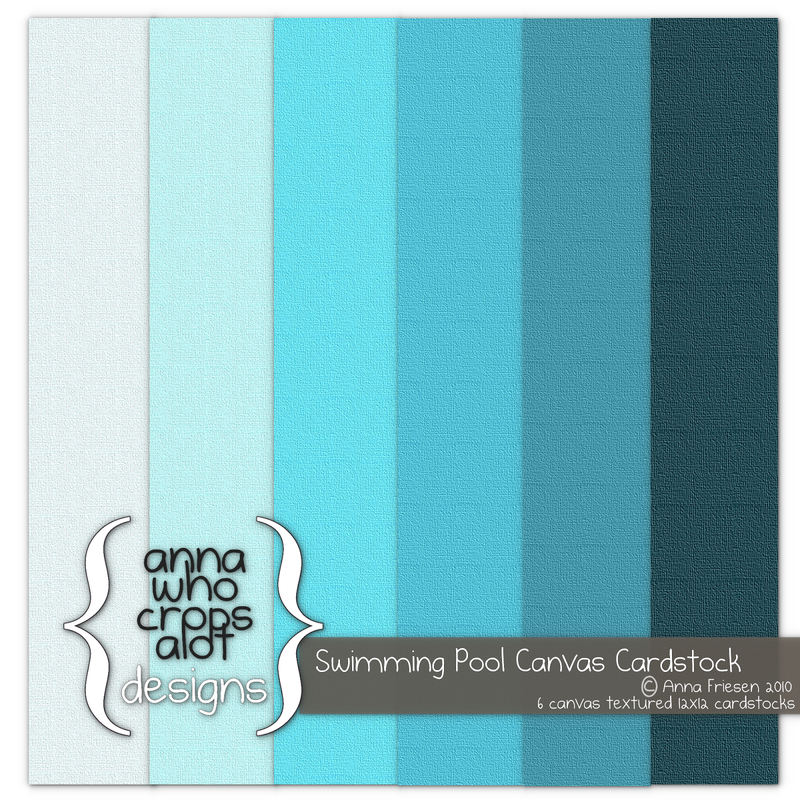 Well, it was fun to share what is happening in my unPlanner! 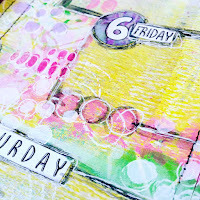 I'm looking forward to making the PACs and the fun List10 this month. 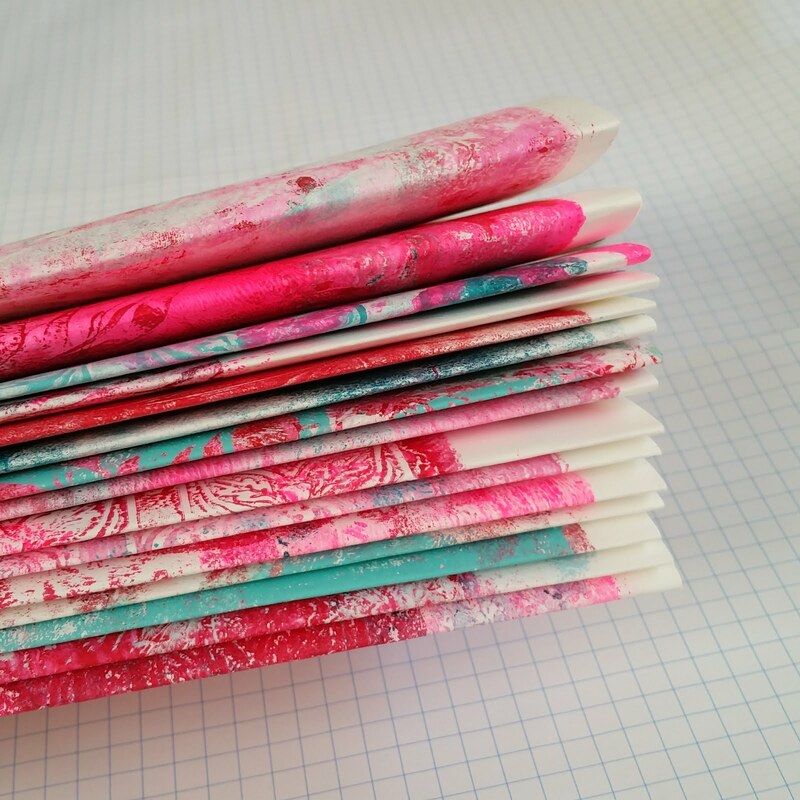 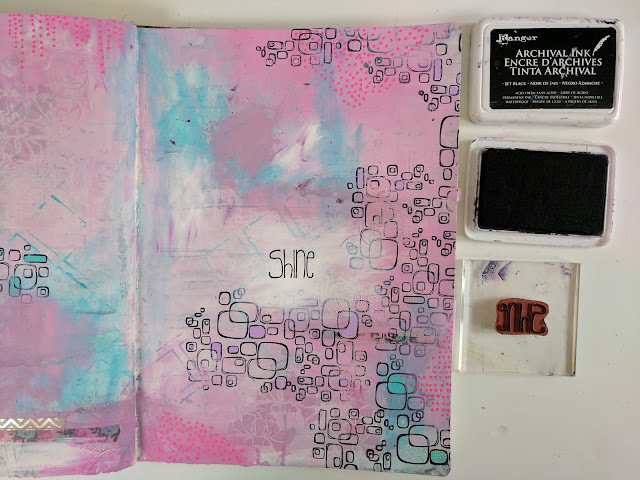 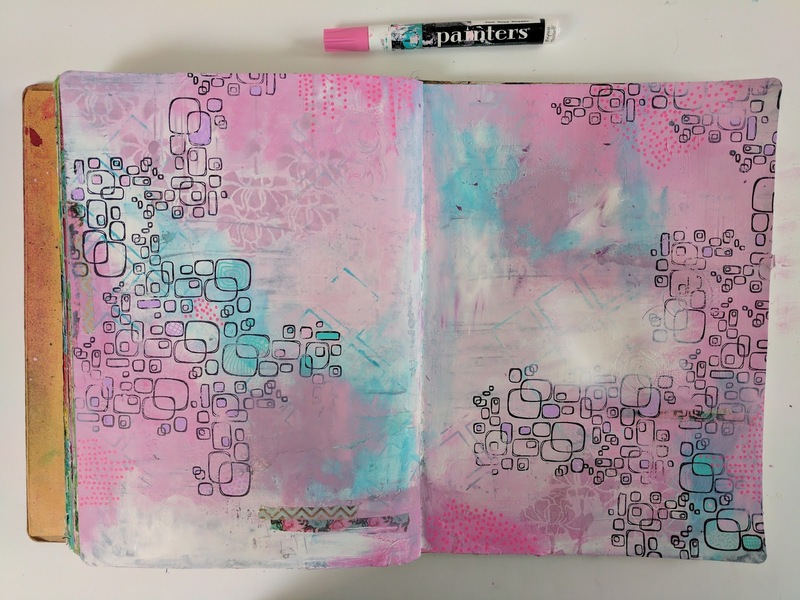 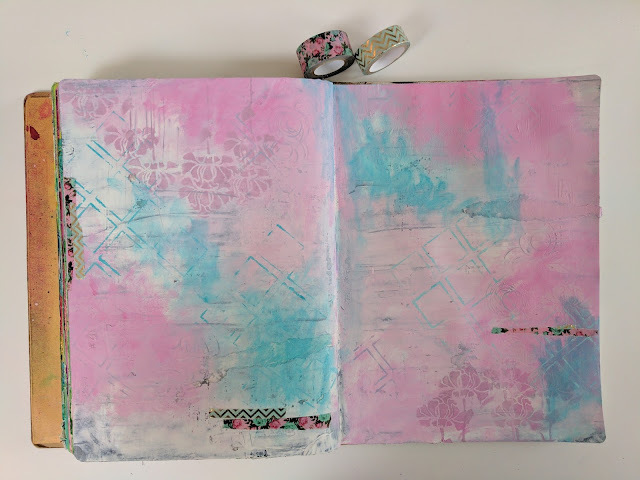 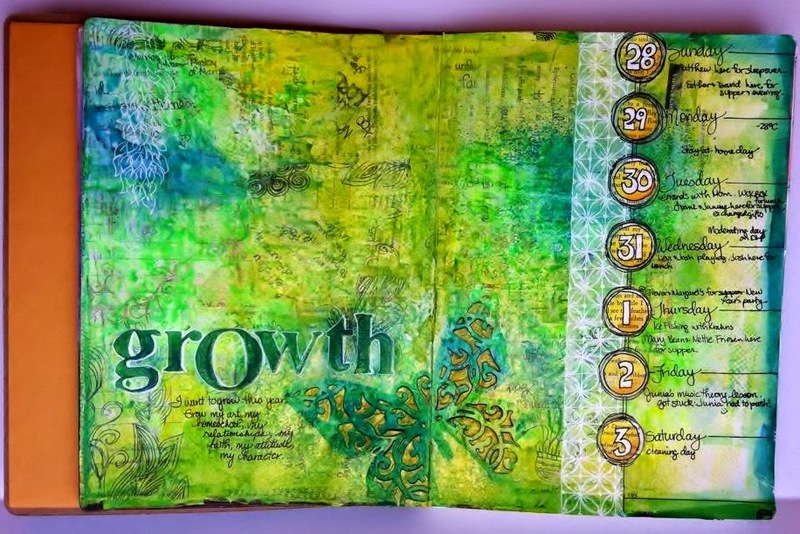 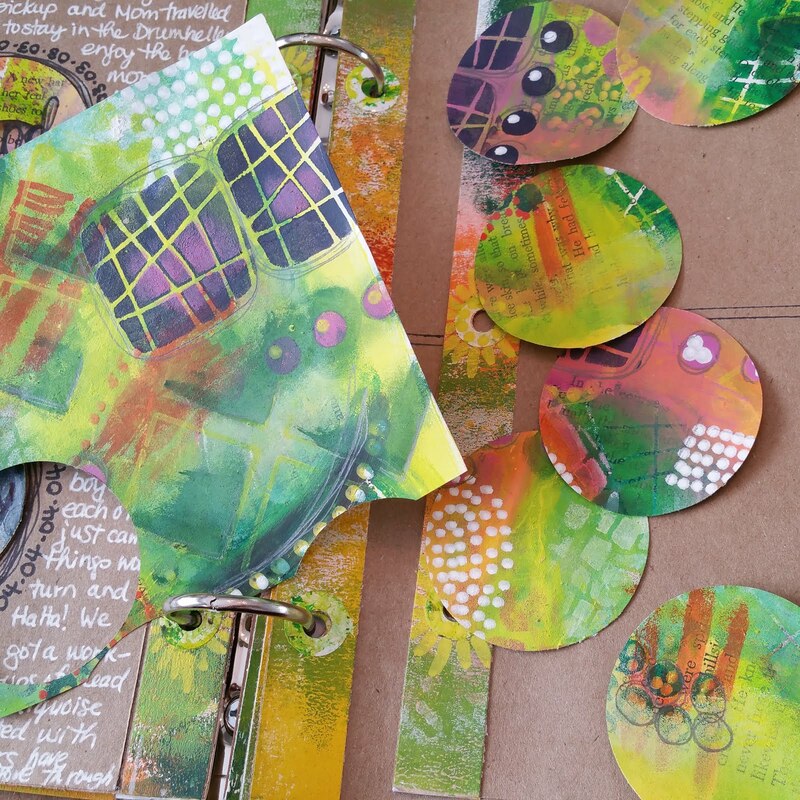 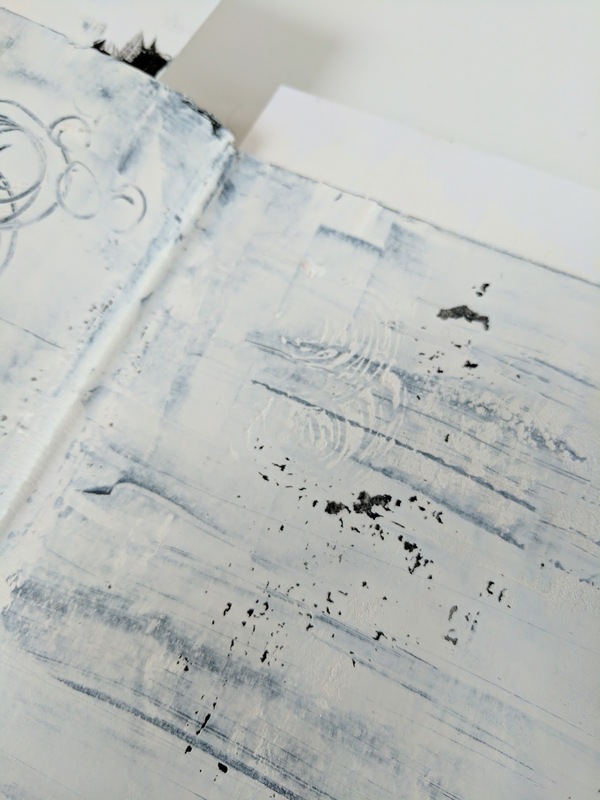 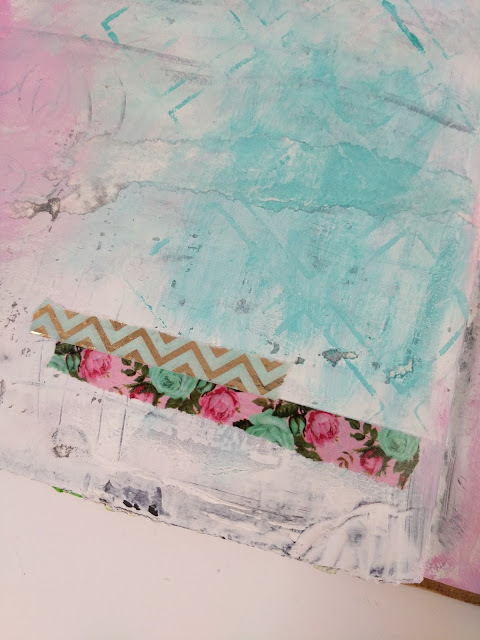 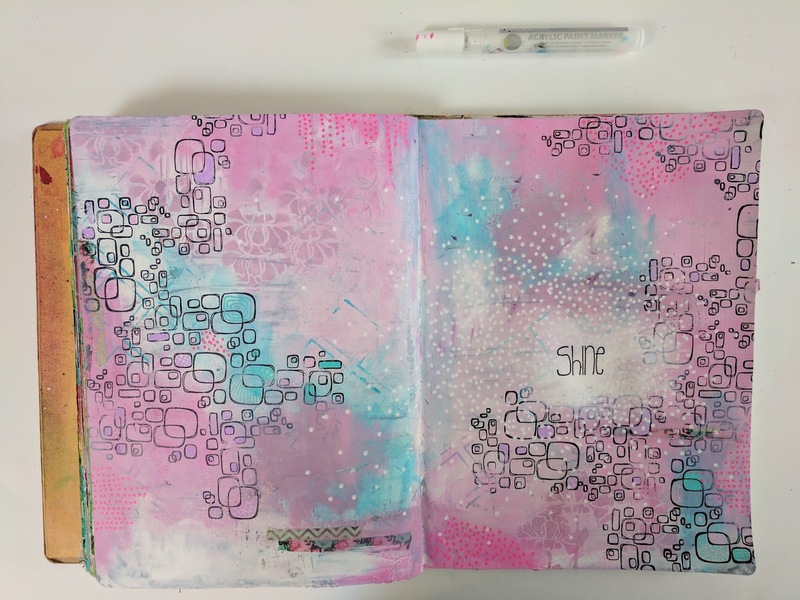 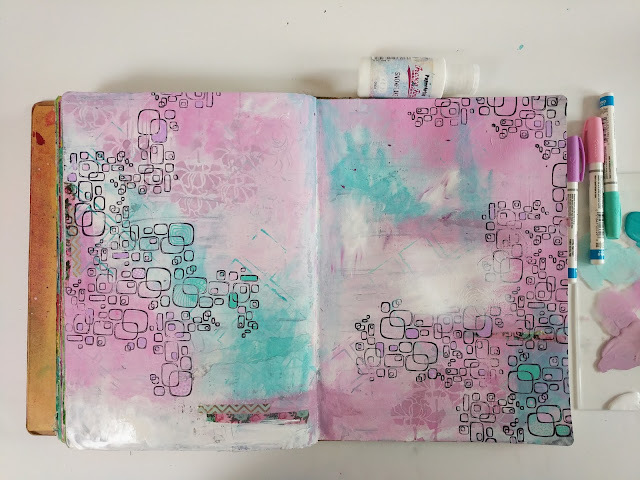 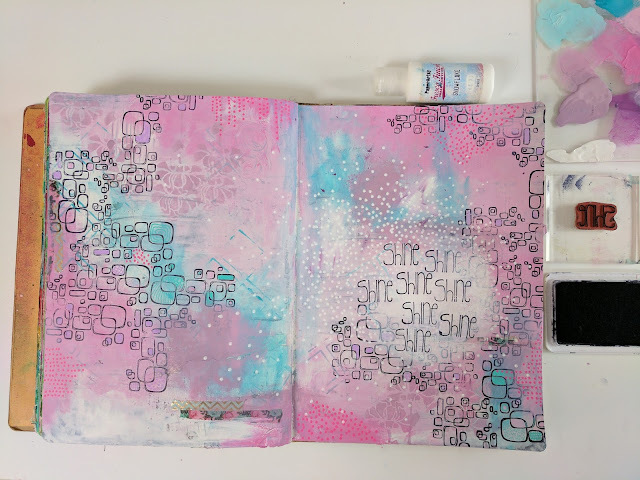 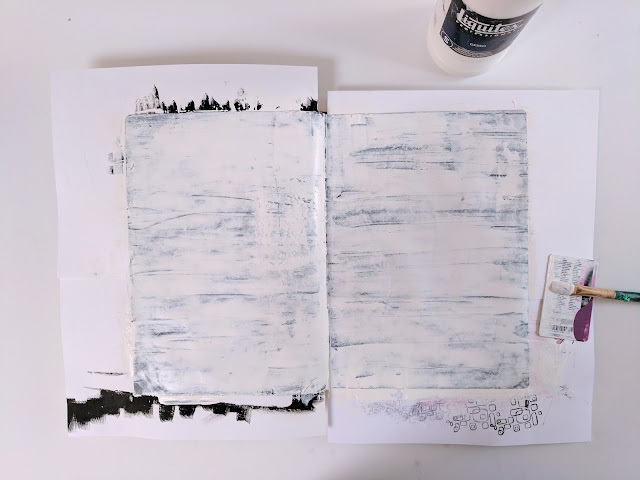 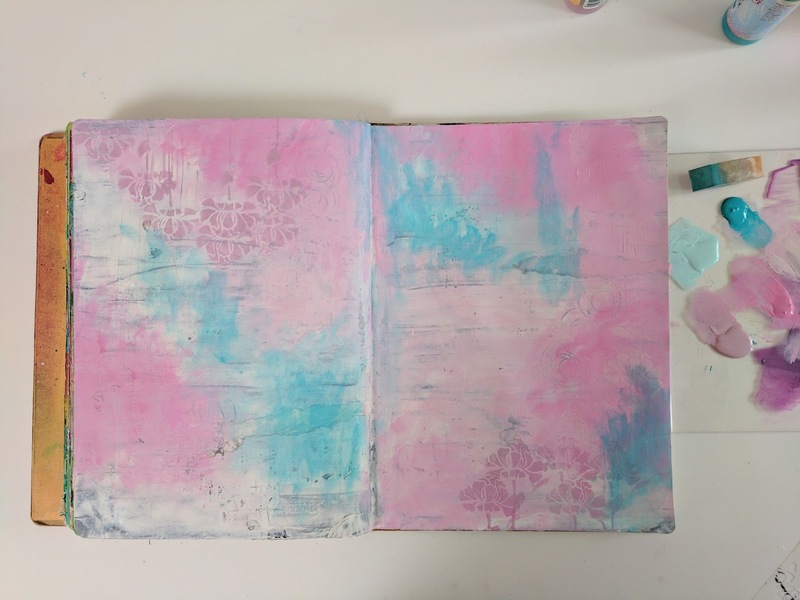 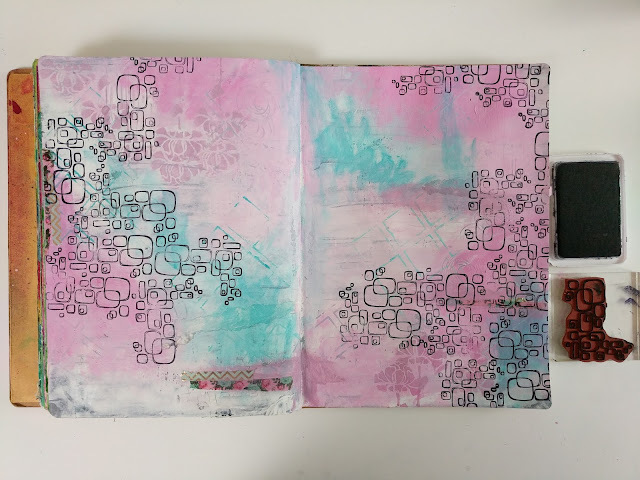 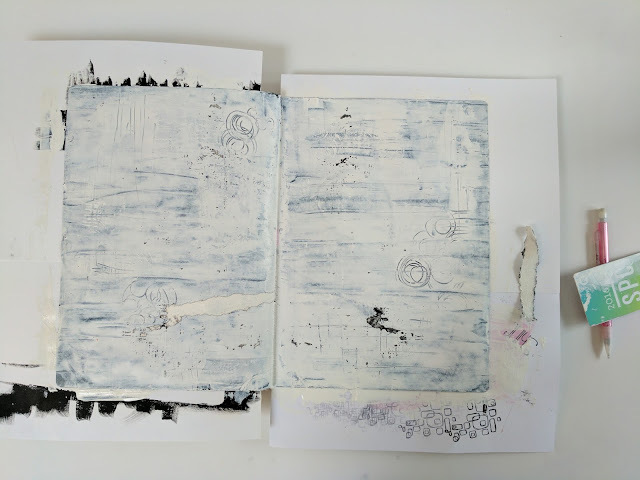 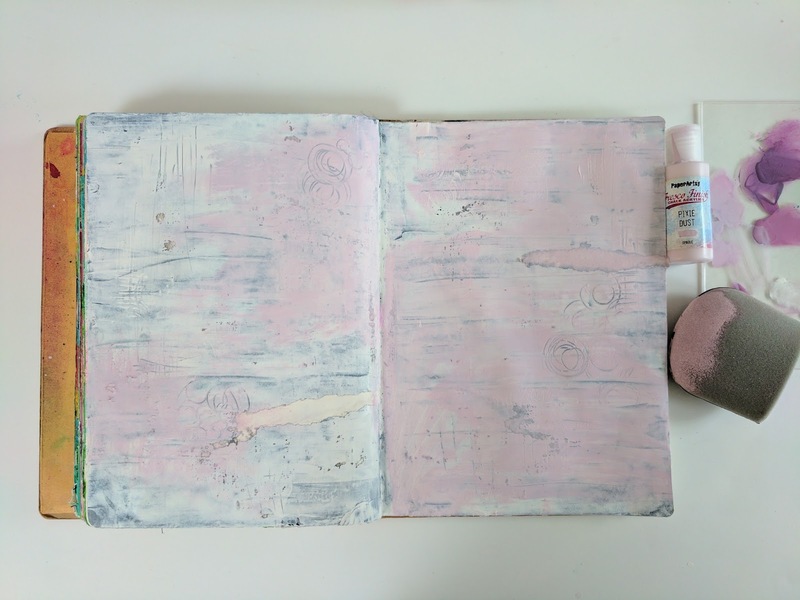 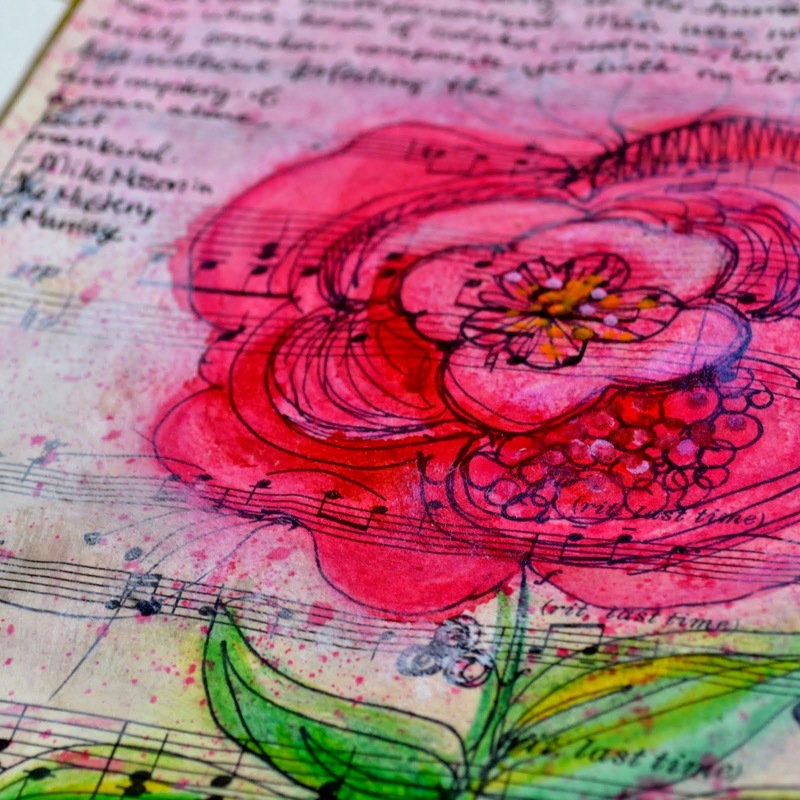 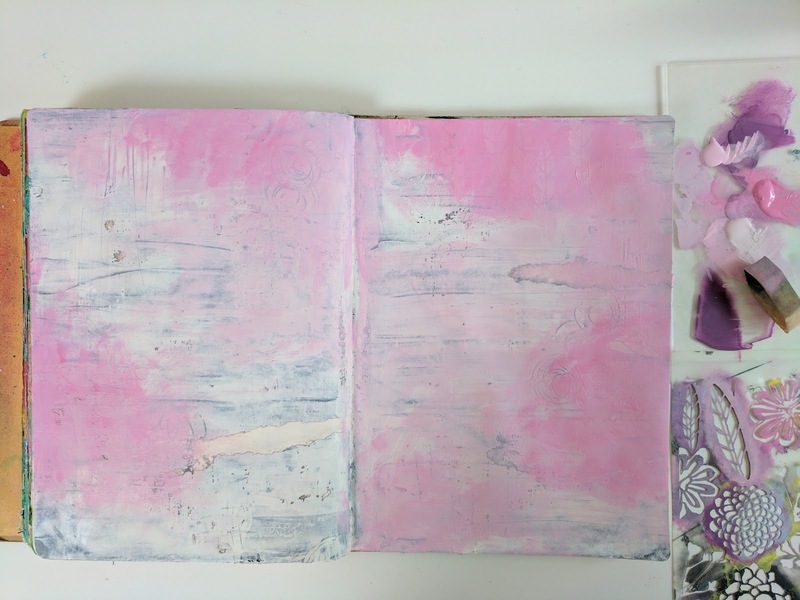 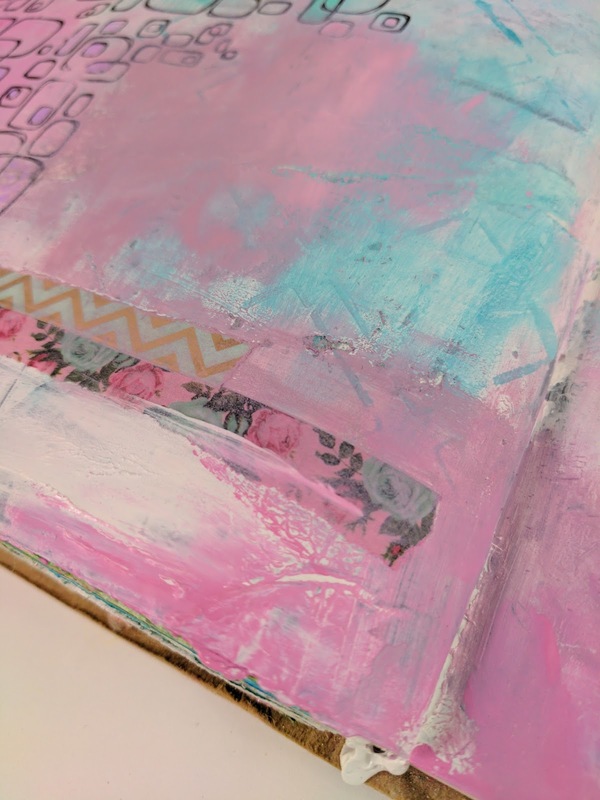 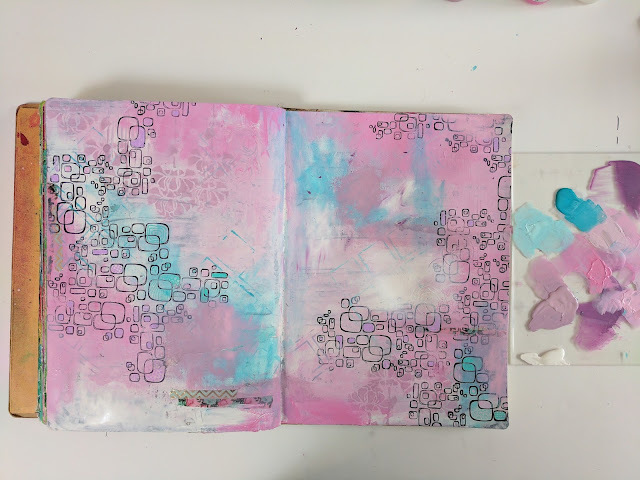 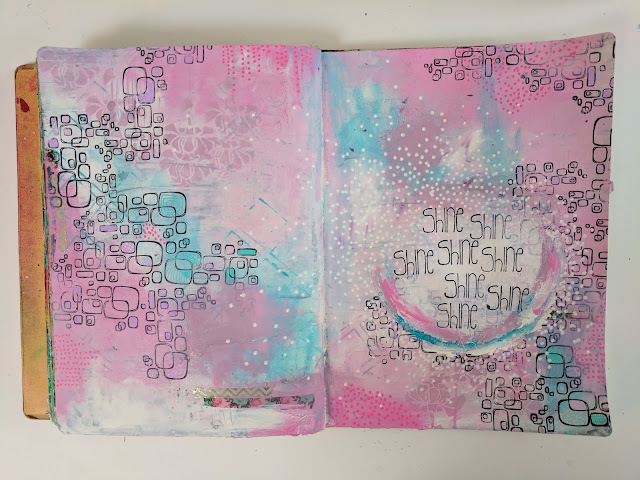 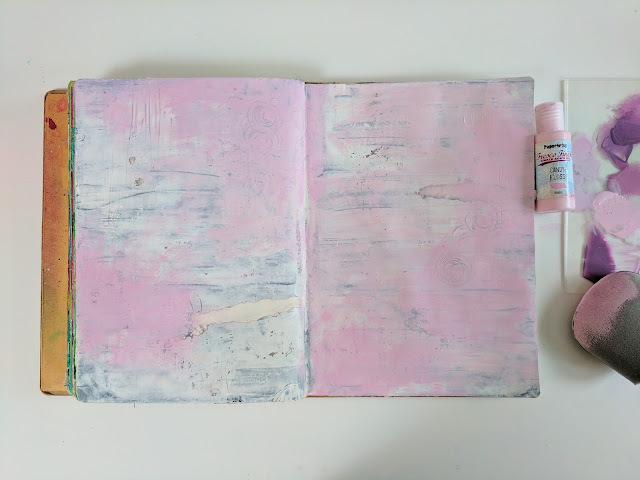 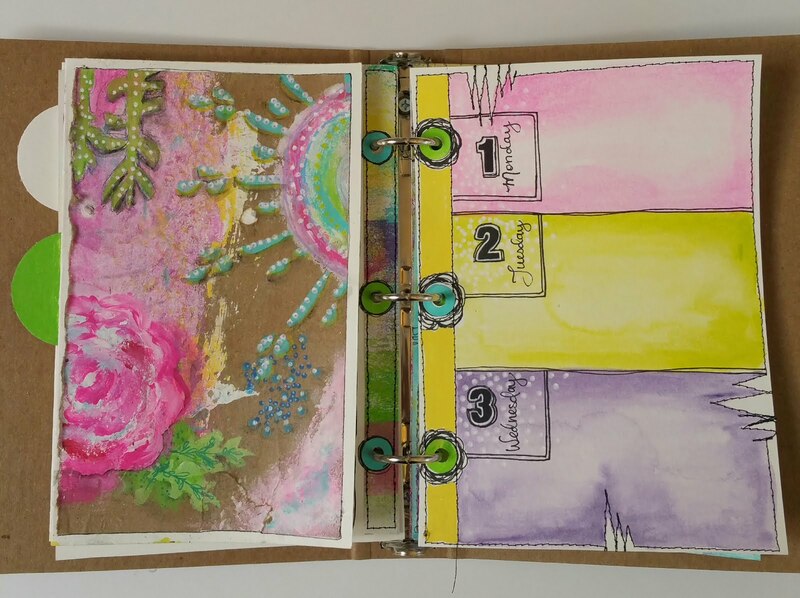 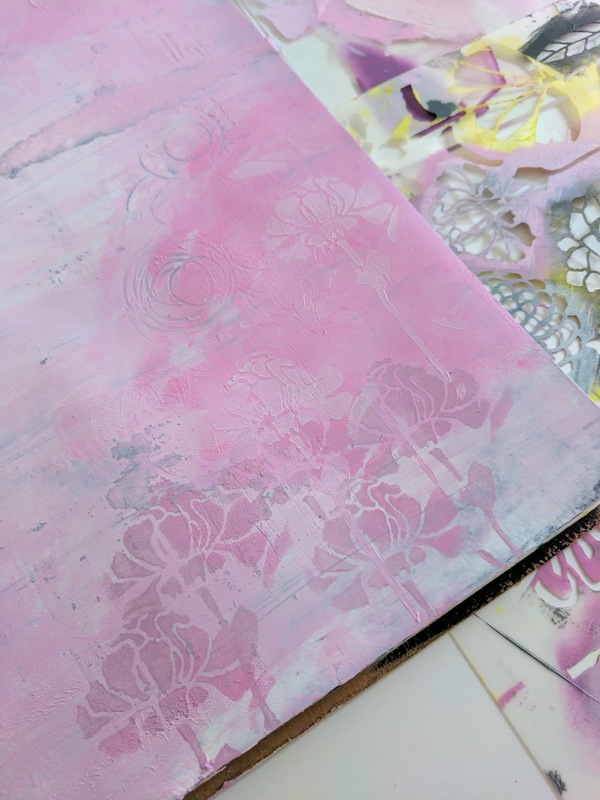 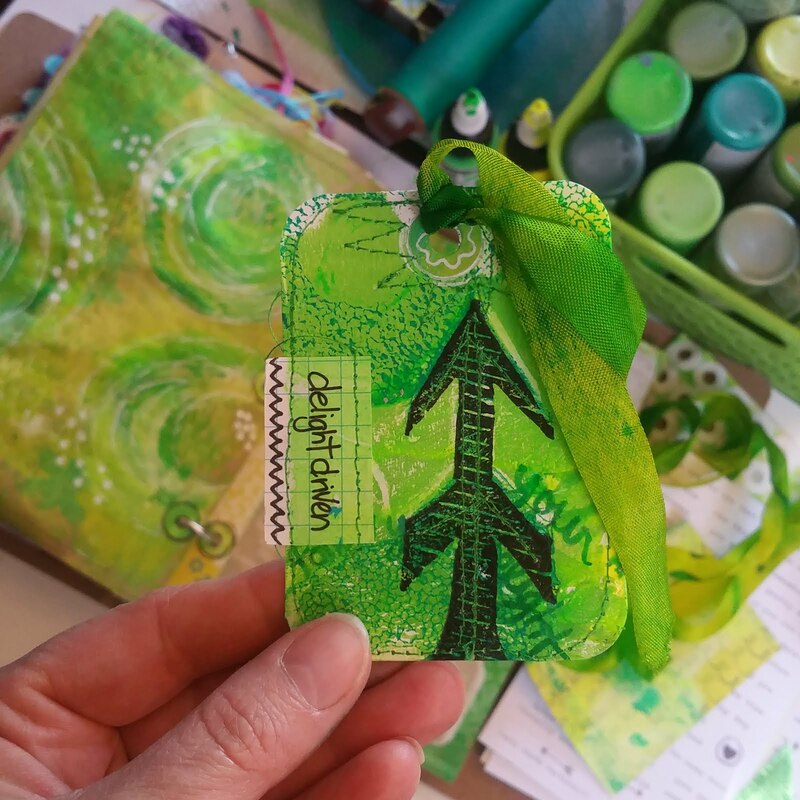 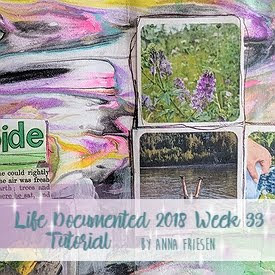 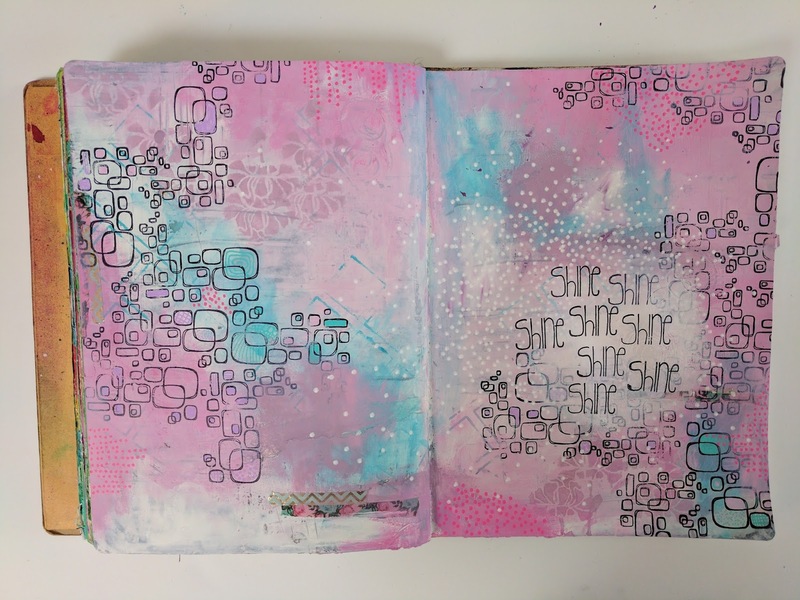 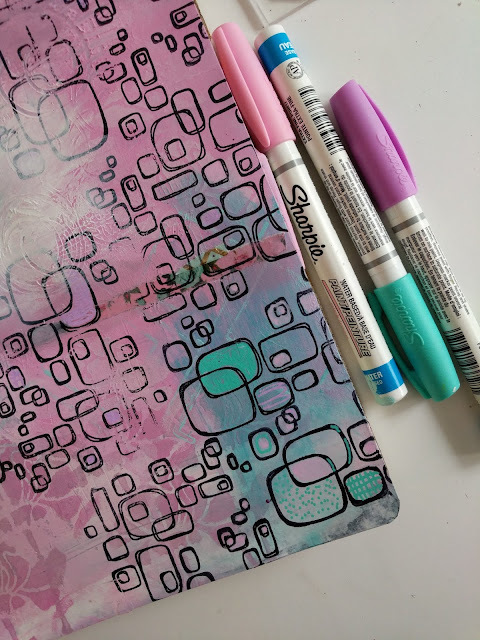 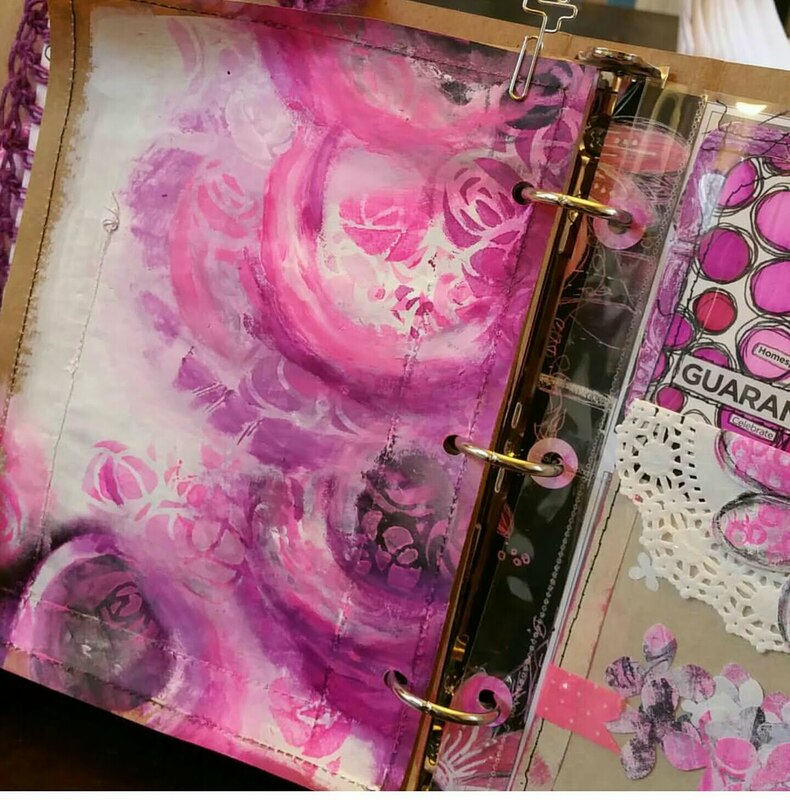 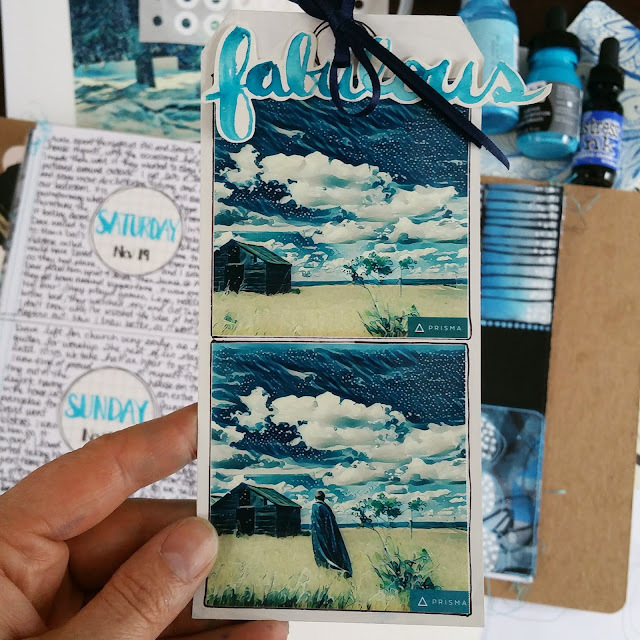 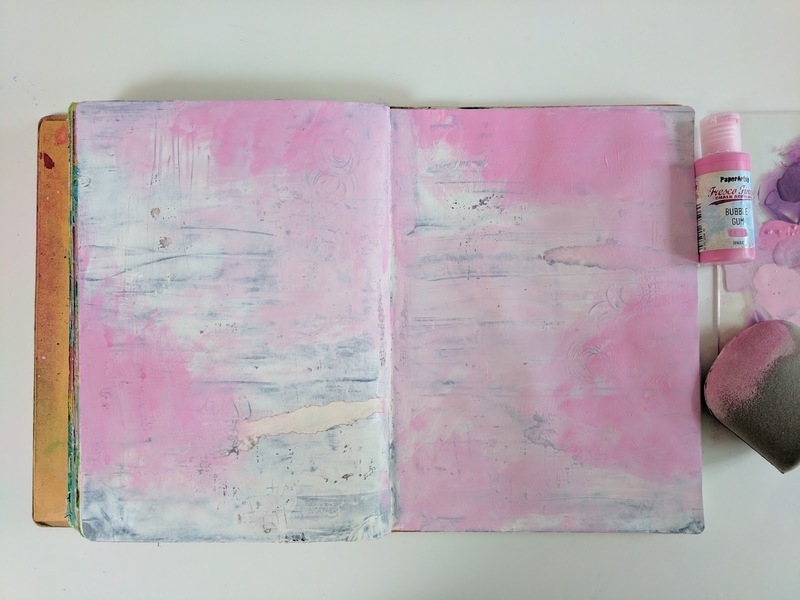 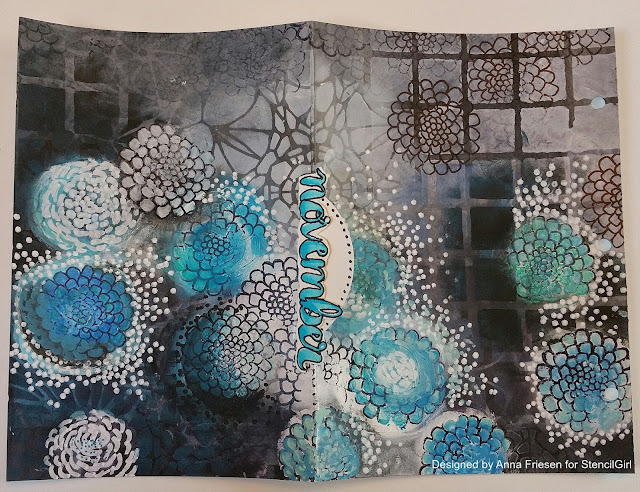 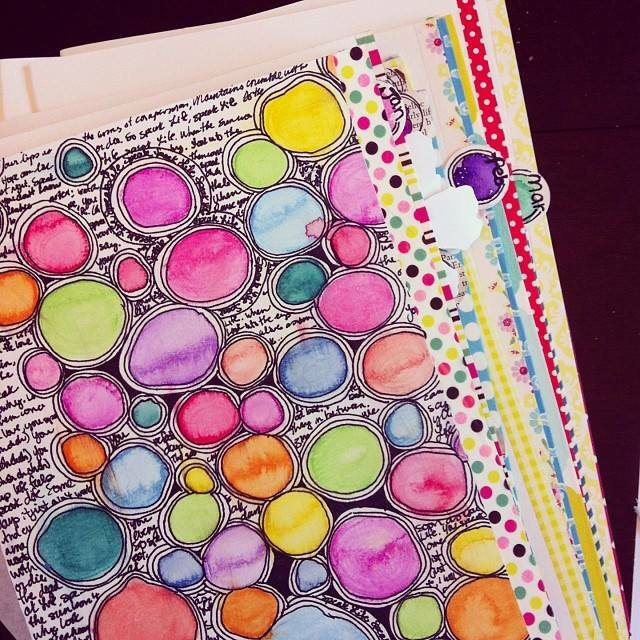 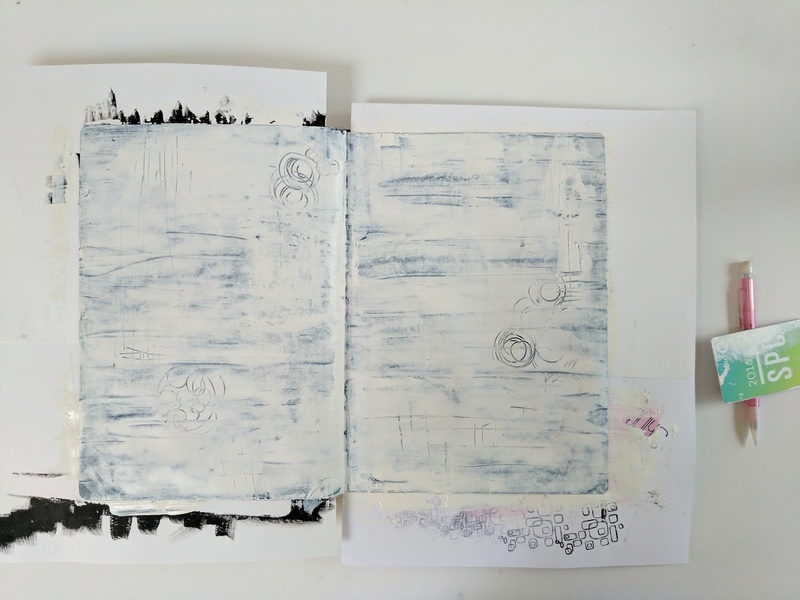 Hope I inspired you to work in your unPlanner or other artjournals!